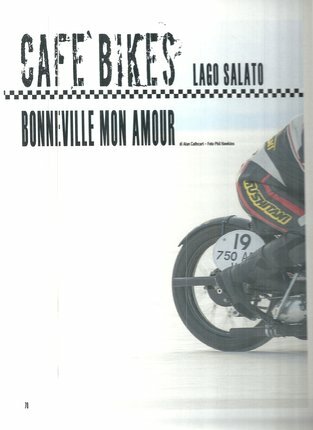 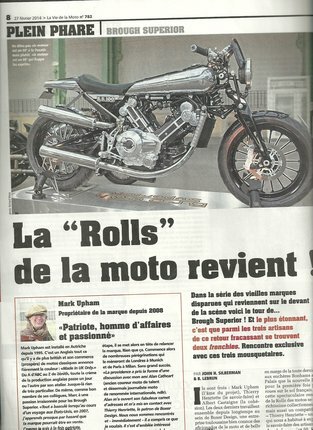 La "Rolls" de la moto revient! 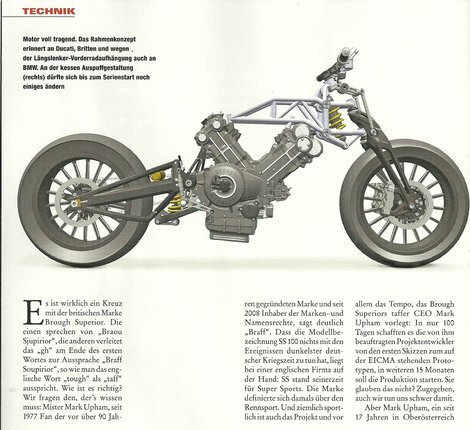 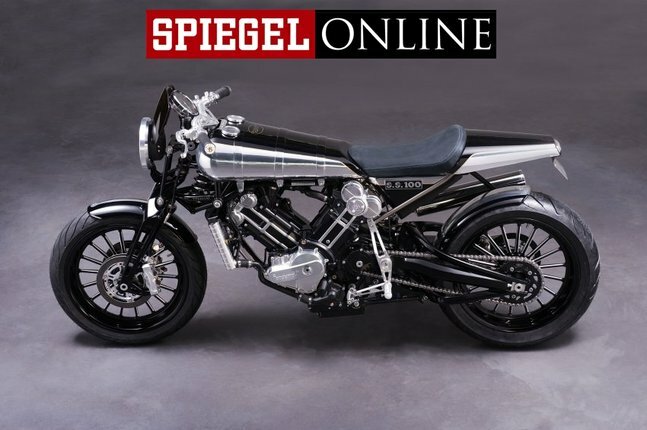 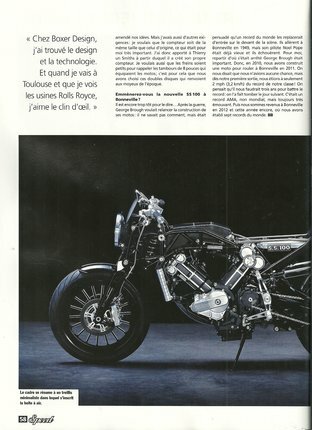 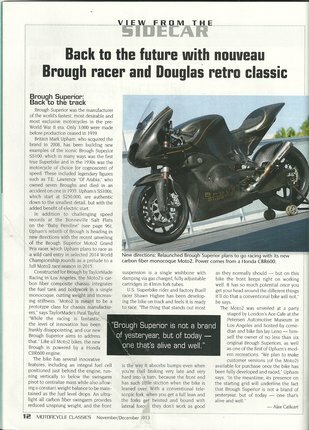 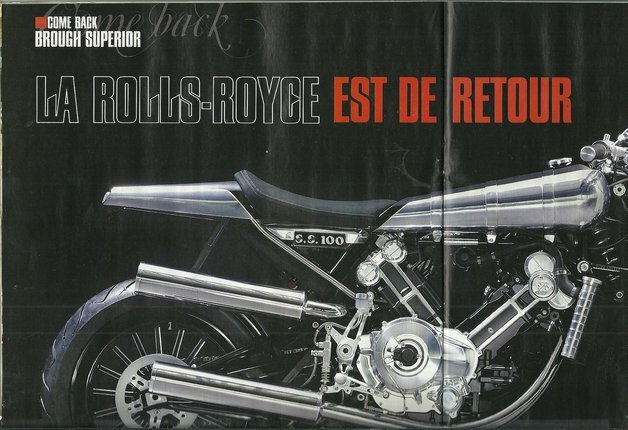 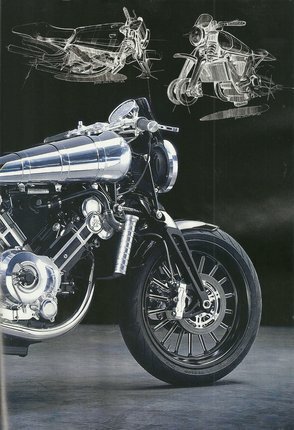 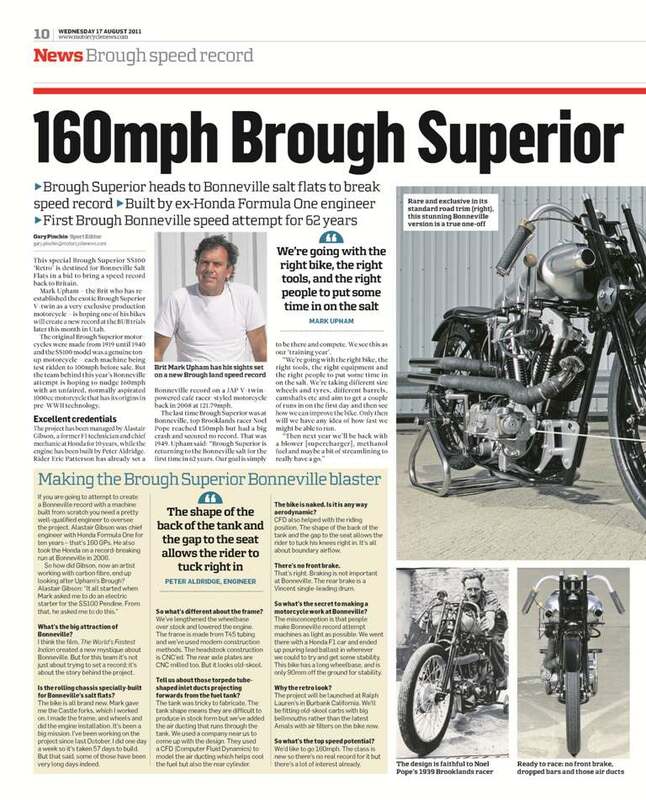 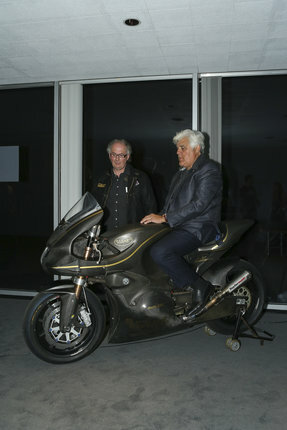 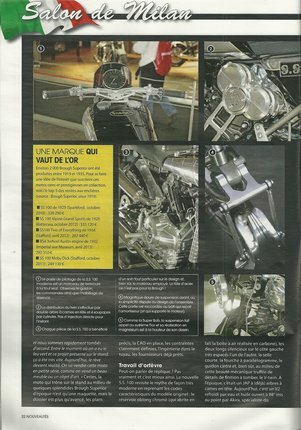 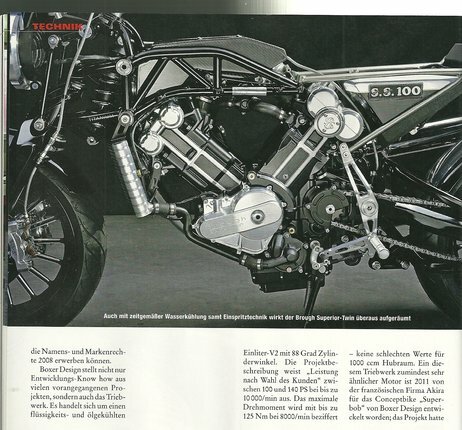 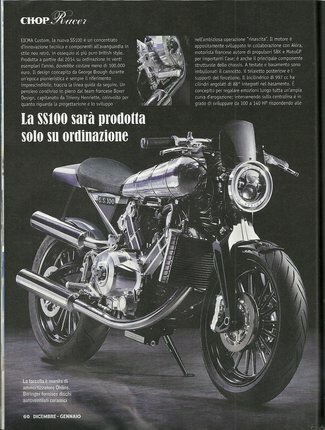 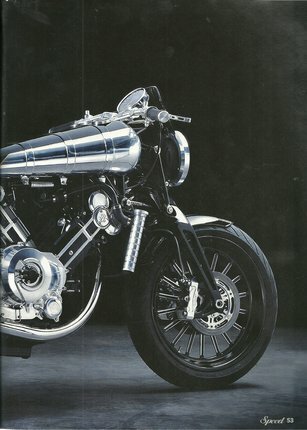 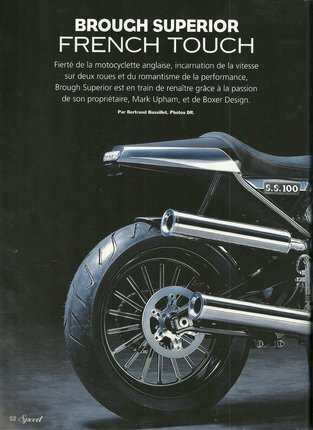 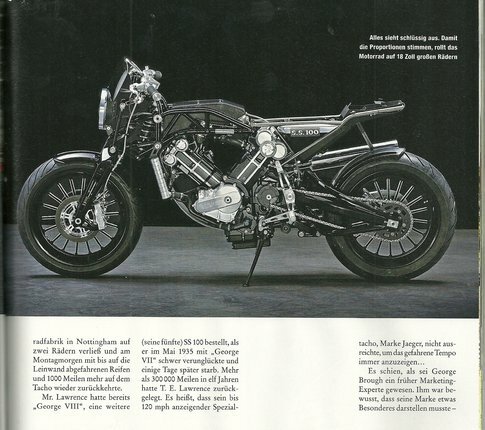 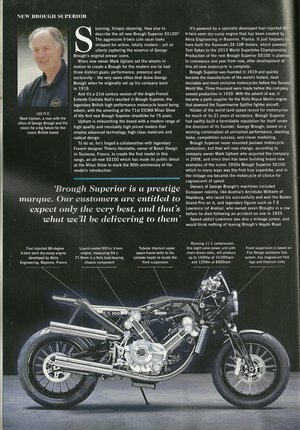 MOTORCYCLE Sport&Leasure - Brough Superior to launch 1200 cc V-Twin Sport Bike! 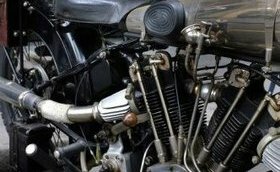 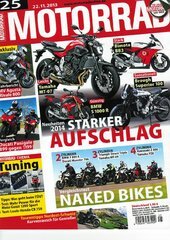 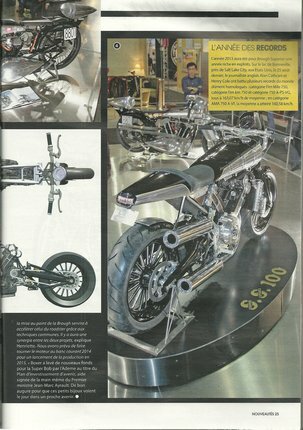 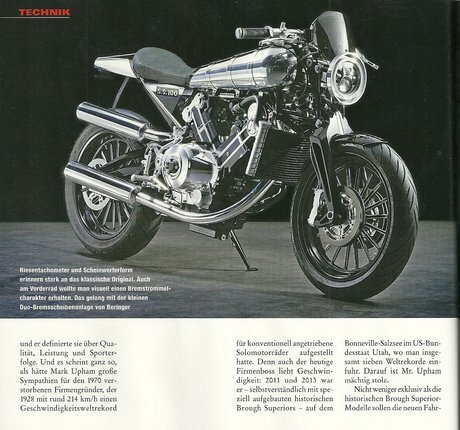 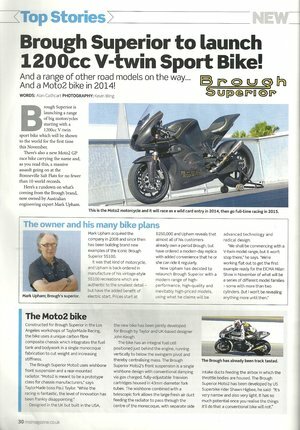 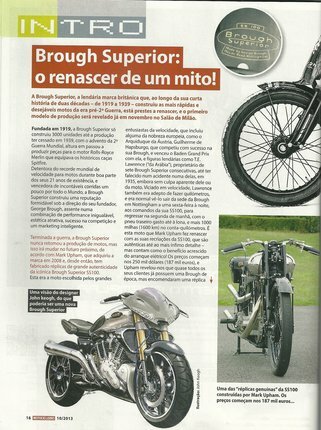 MOTOCICLISMO.PT - Brough Superior: o renascer de um mito! 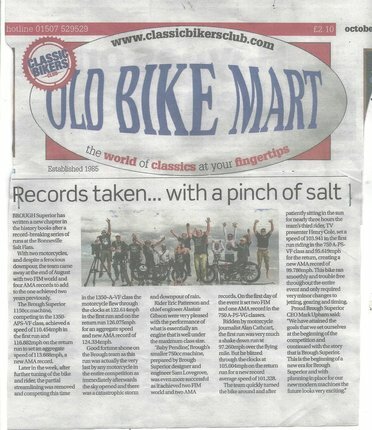 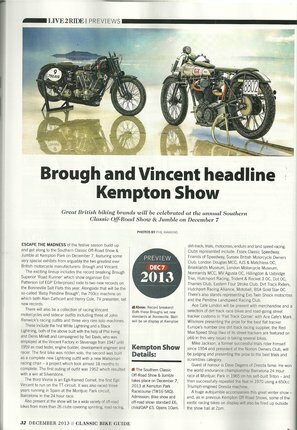 The Motorbike Show is back! 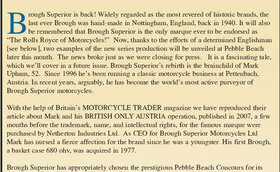 British Only on the Motorbike show. 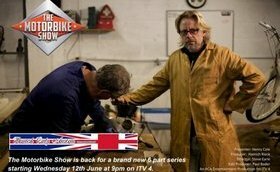 Starting Wednesday 12th of June 9PM on ITV4 - for six weeks. 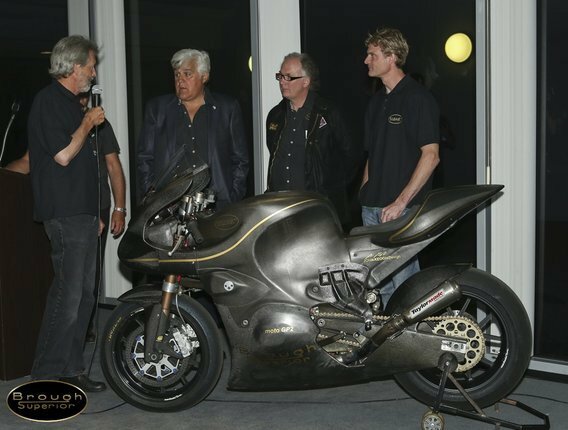 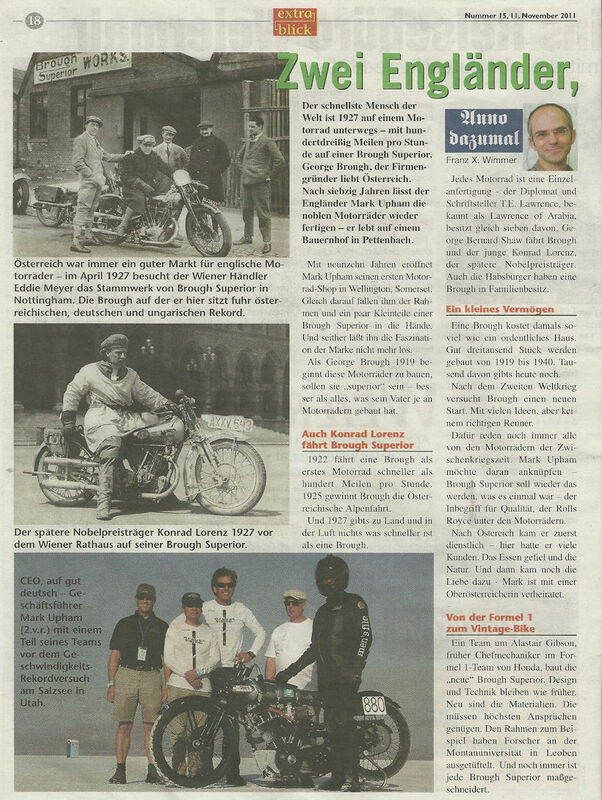 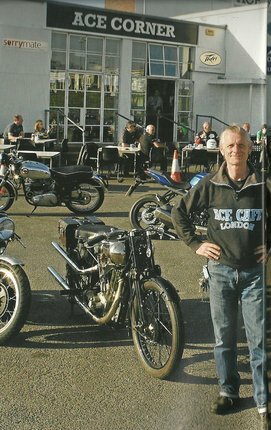 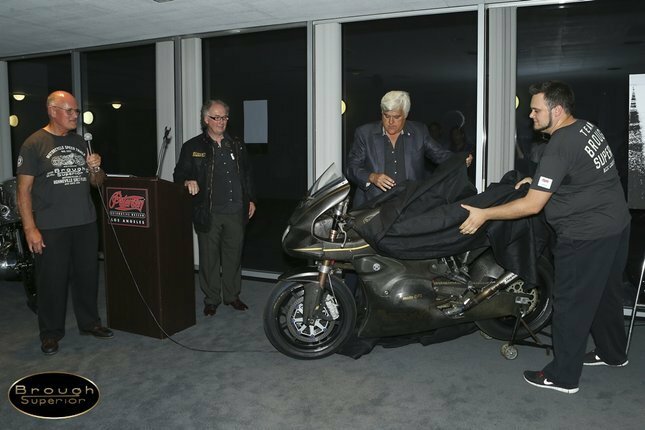 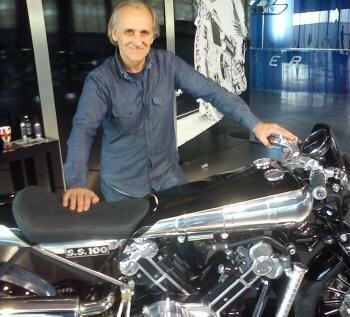 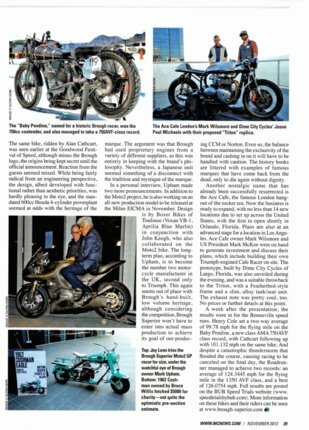 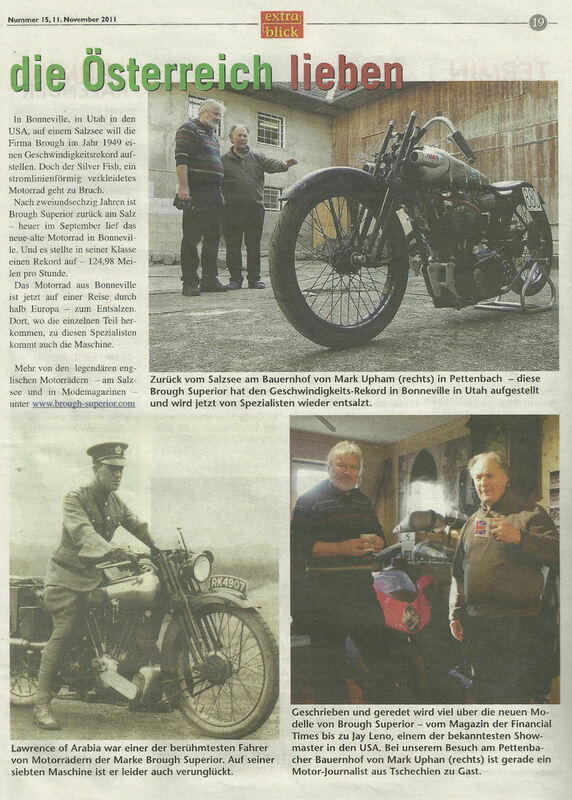 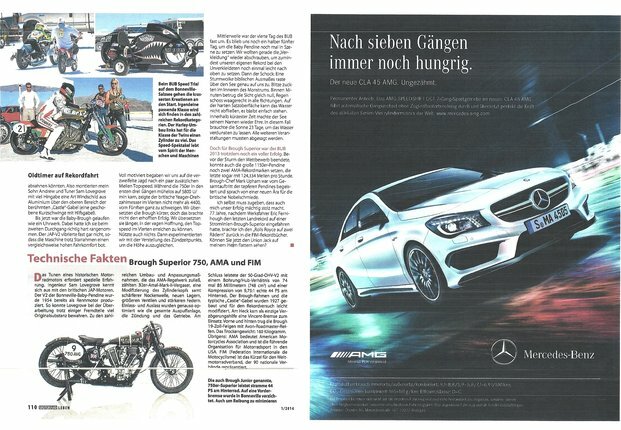 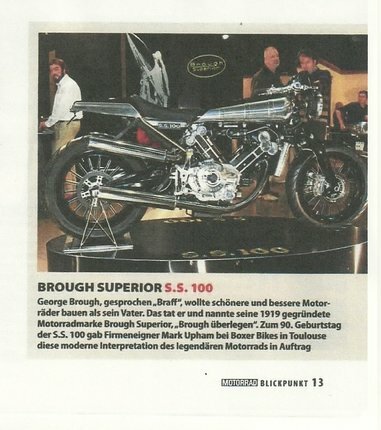 The presenter Henry Cole visited Mark Upham CEO of Brough Superior Motorcycles and British Only Austria, in February this year. 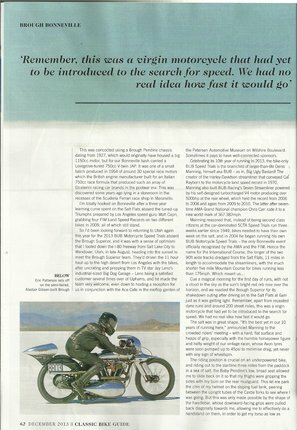 See what he discovered. 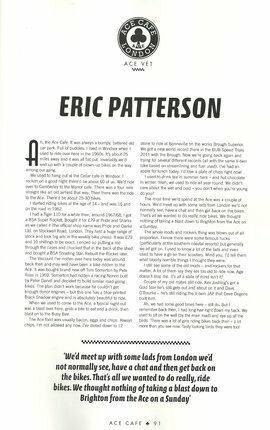 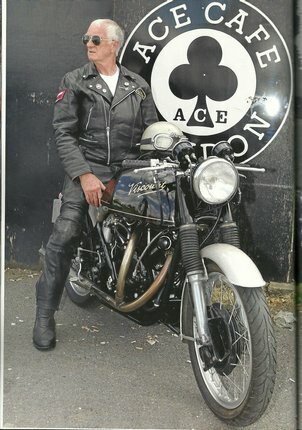 lifelong motocycle nut and V-Twin addict. 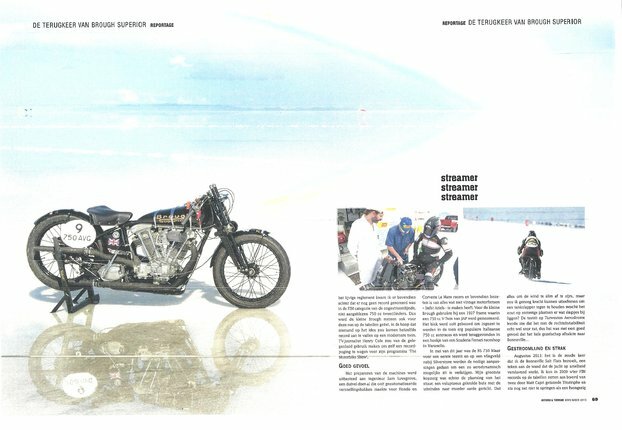 A few days ago, the beach was abuzz once more with the sound of engines. 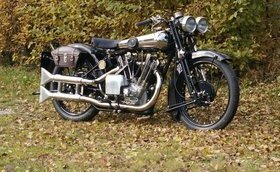 It was the occasion of the revitalized Pendine Speed Trials, and one of the most interesting vehicles there was this ‘new’ Brough Superior SS101 ‘Pendine’. 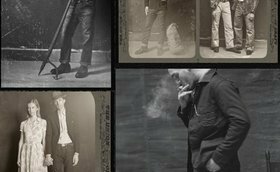 Vavavooom : L’Accessoire de la fashion week masculine ! 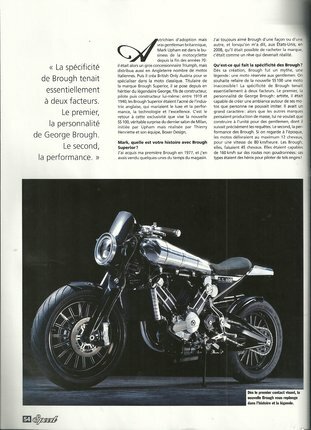 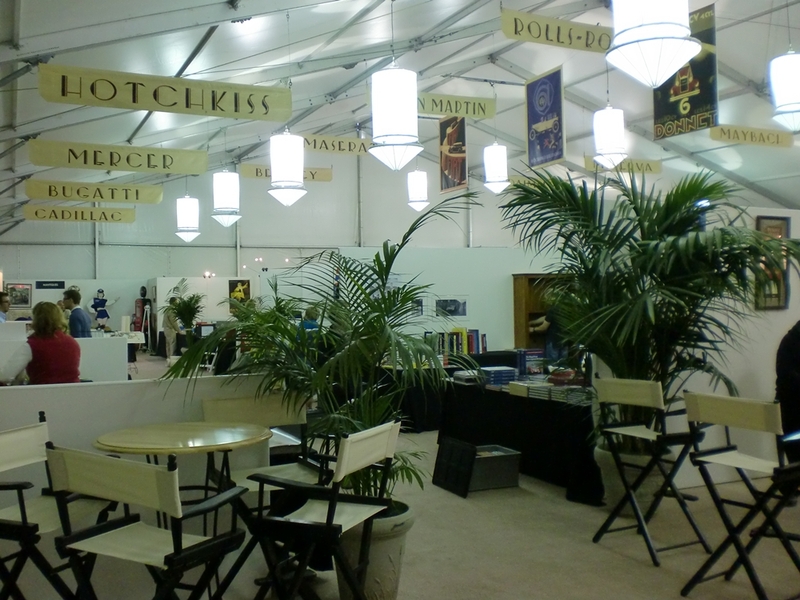 Chez Ralph Lauren c’est l’heure de l’apéri-« gros cube ». 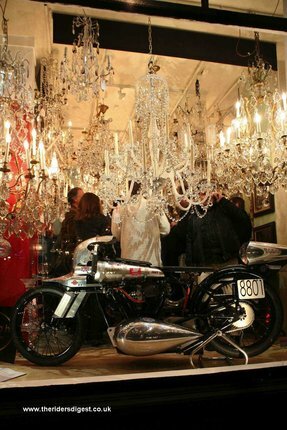 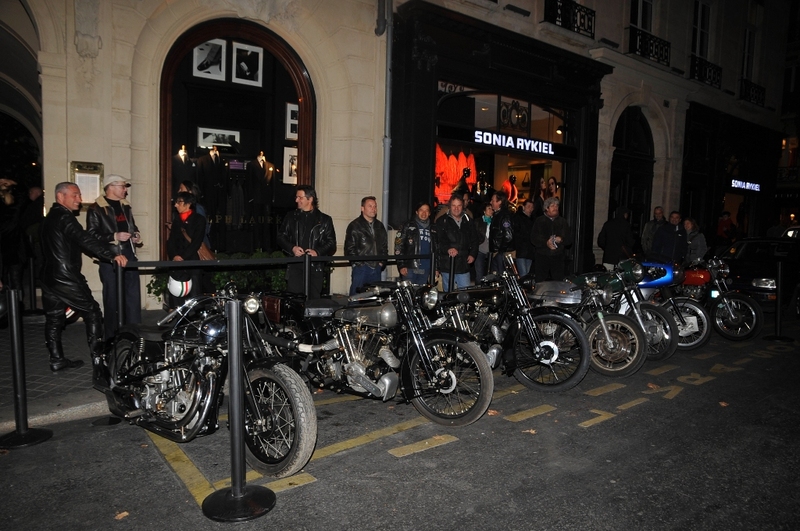 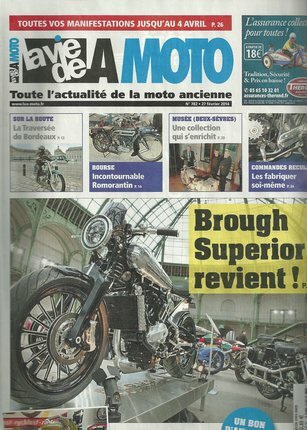 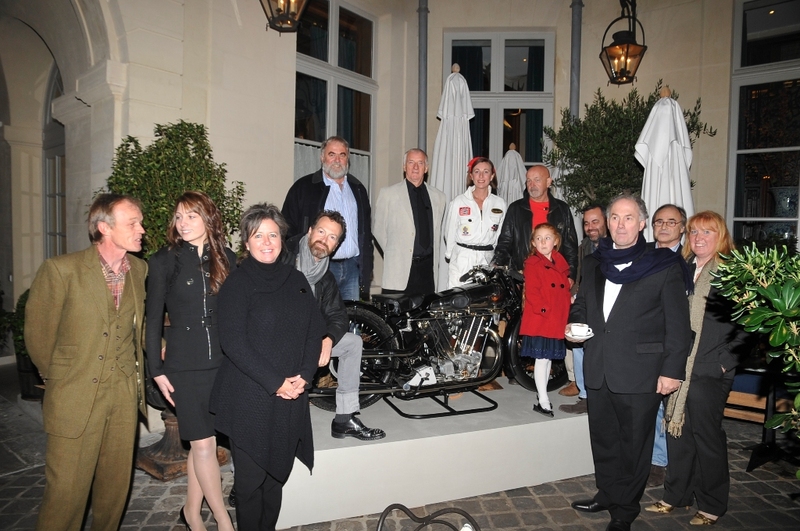 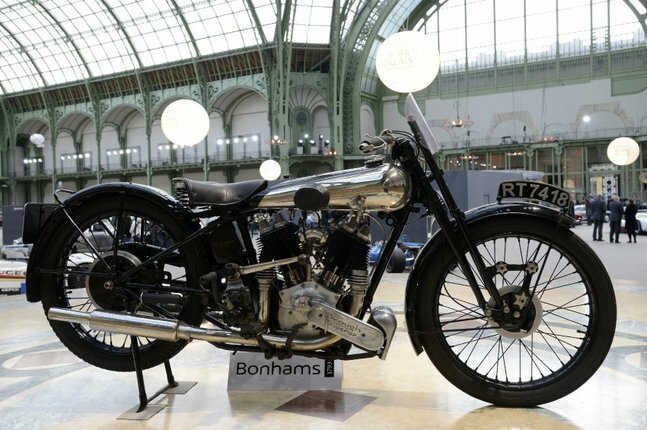 Véritable œuvre de haute couture, la Brough Superior exposée dans sa vitrine du boulevard Saint Germain allume le regard de tous les fans de moto. 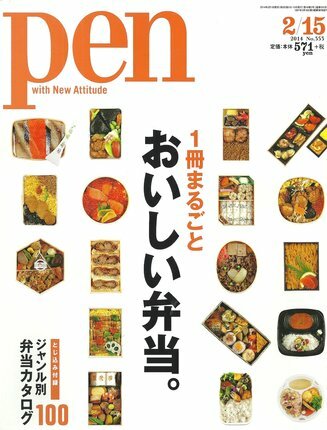 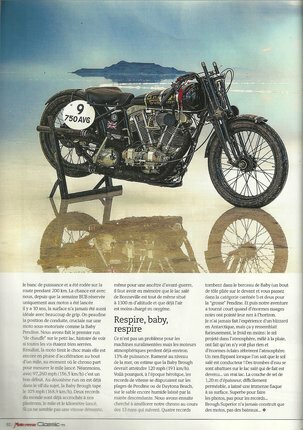 Et pas que ! 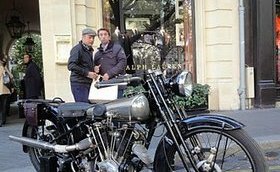 Vous aviez pensé à un chapeau, un nœud papillon, un sac, une paire de chaussure ? 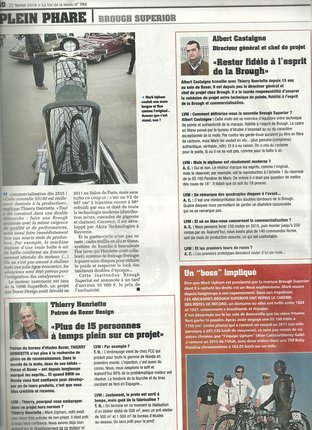 Raccrochez ! 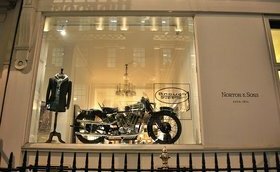 Le véritable accessoire de la semaine de la mode masculine qui commence dans quelques jours à Paris (du mercredi 27 juin au lundi 1er juillet) se cache dans la vitrine de la boutique Ralph Lauren du Boulevard Saint Germain. 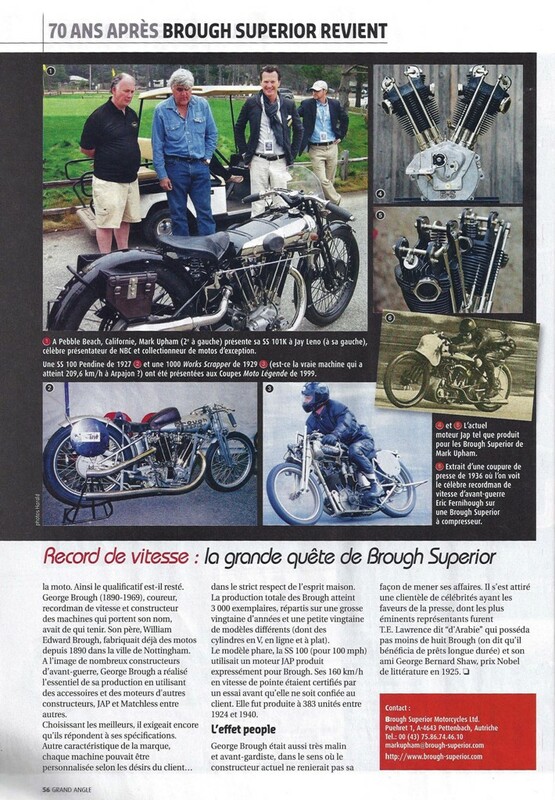 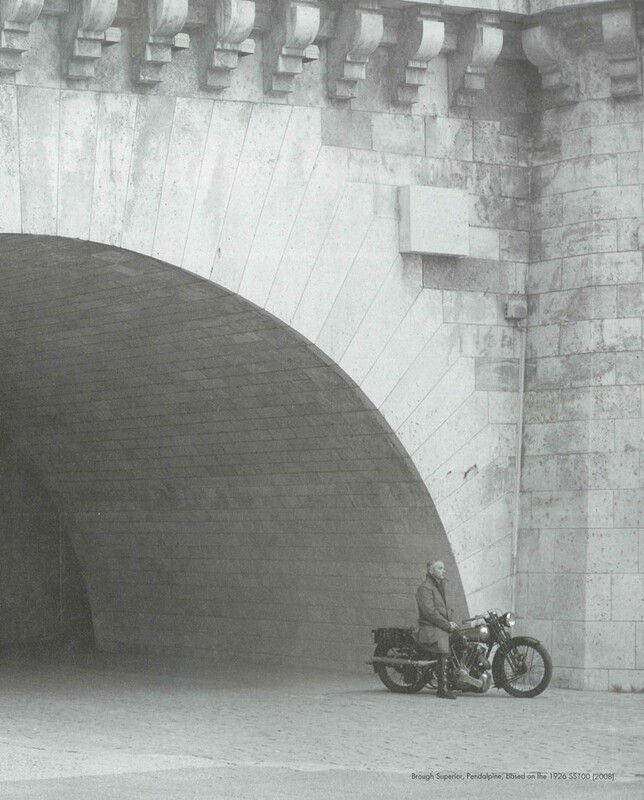 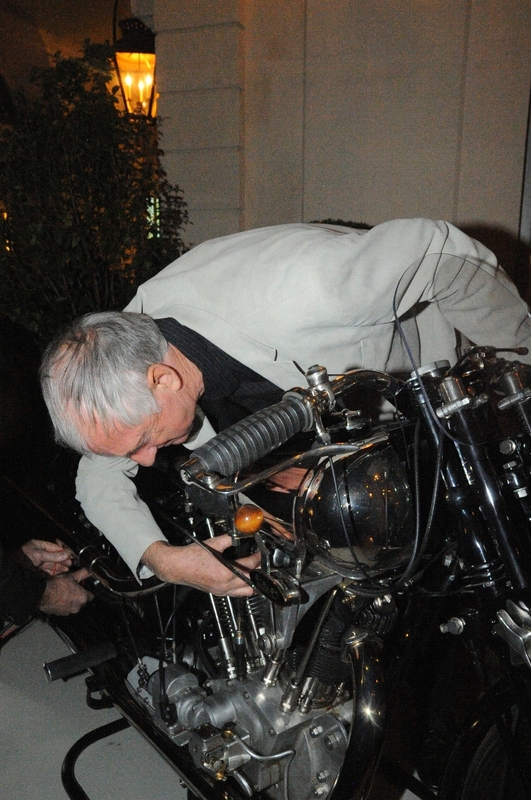 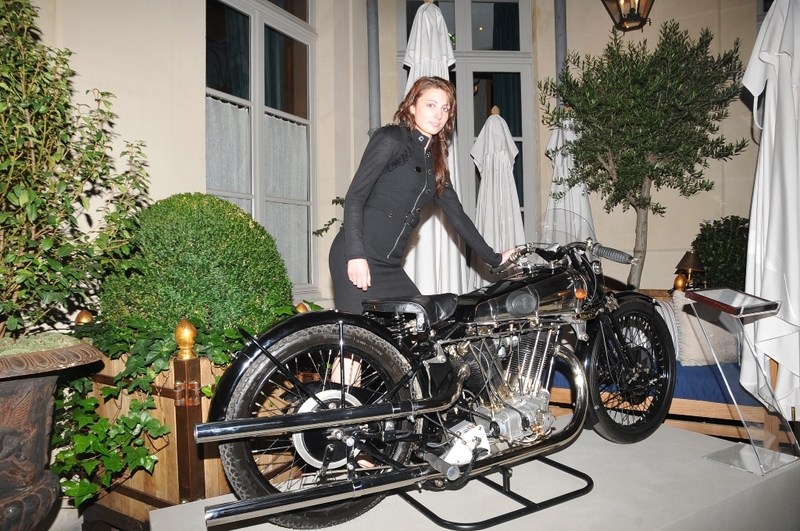 La « Brough Superior SS101K Alpine Grand Sport, type 1925/26 » qui s’y expose est plus qu’une moto : c’est « LA » moto ! 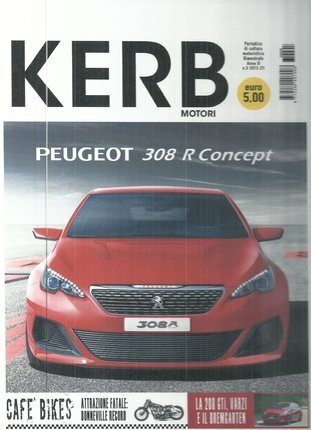 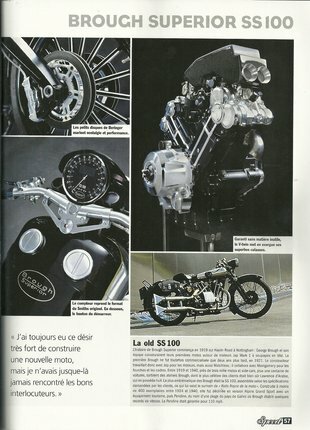 Un modèle inestimable et pourtant estimé par les spécialistes à quelques 250 000 dollars. 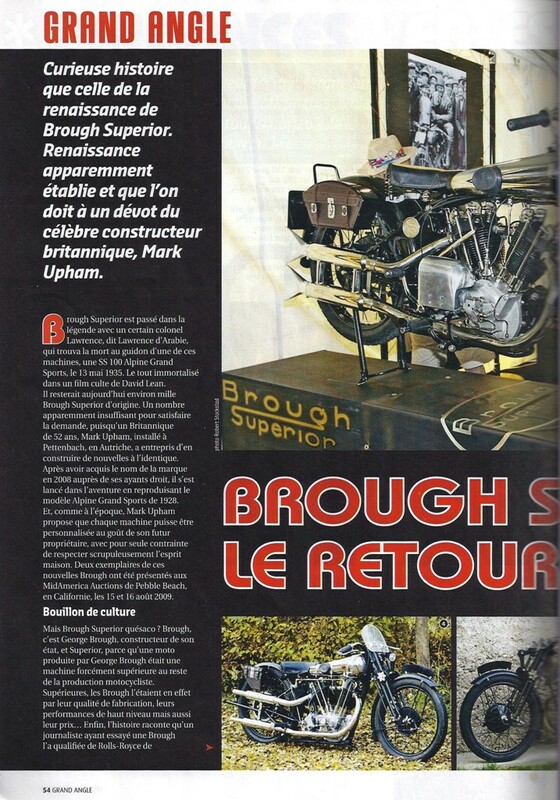 Une rareté prêtée ici par Mark Upham, collectionneur et intarissable promoteur de Brough. 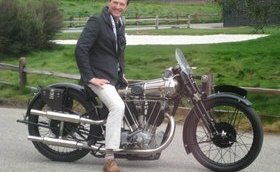 Most people are familiar with the SS100 (the bike Lawrence of Arabia tragically died on), but have you seen George Brough's workhorse? 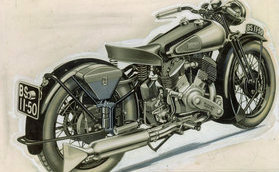 Debuting in 1939, this flathead V-Twin was designed primarily for sidecar use and was favored by police. 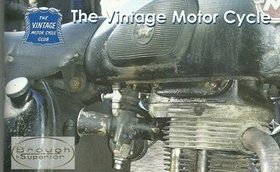 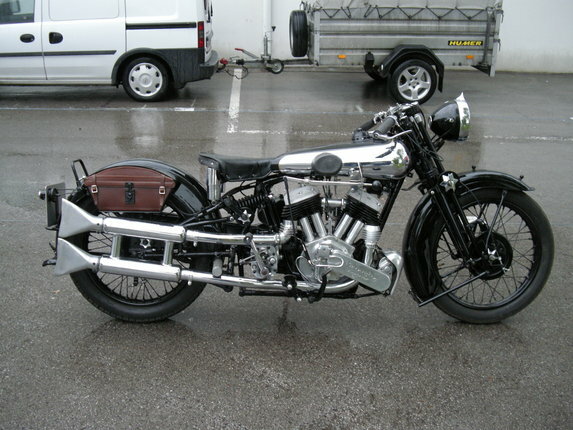 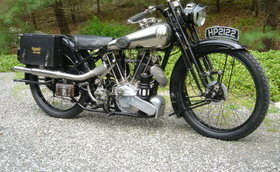 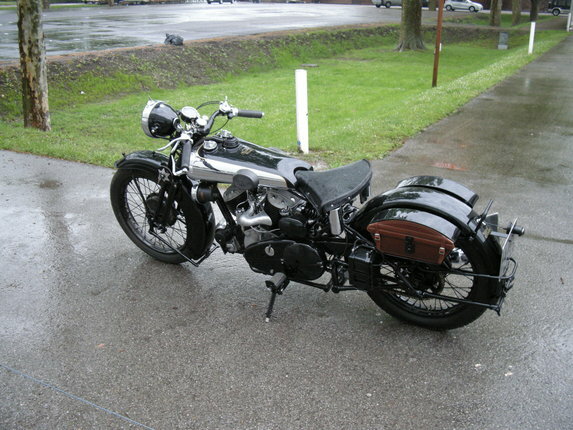 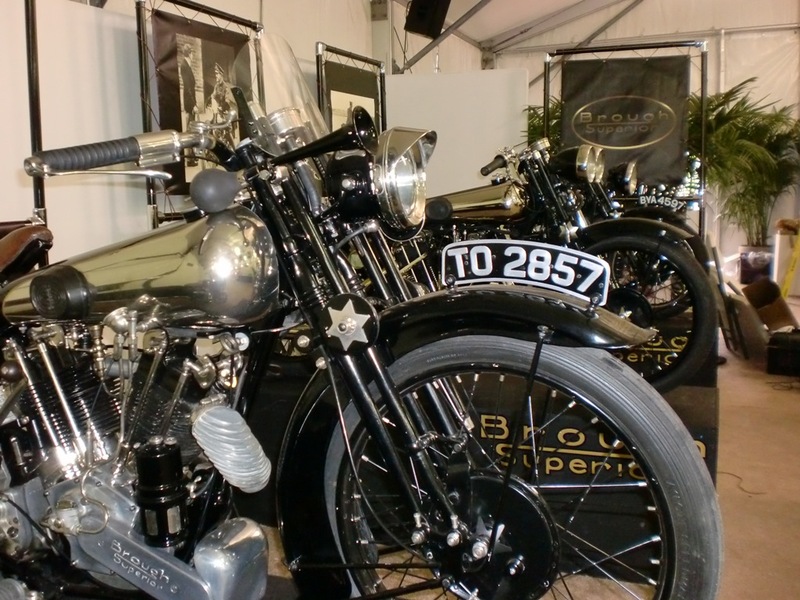 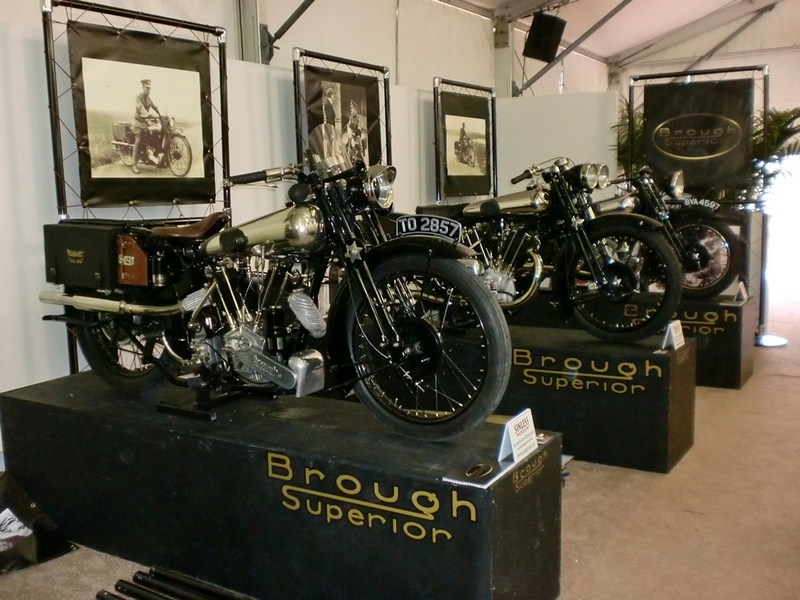 Bike are restored by Brough Superior Motorcycle ltd. 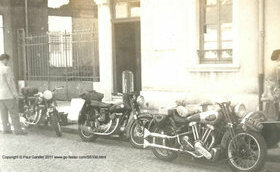 In the Summer of 1953 my father Geoffrey Gander and his friends set off on their annual Motor Cycling holiday around Europe. 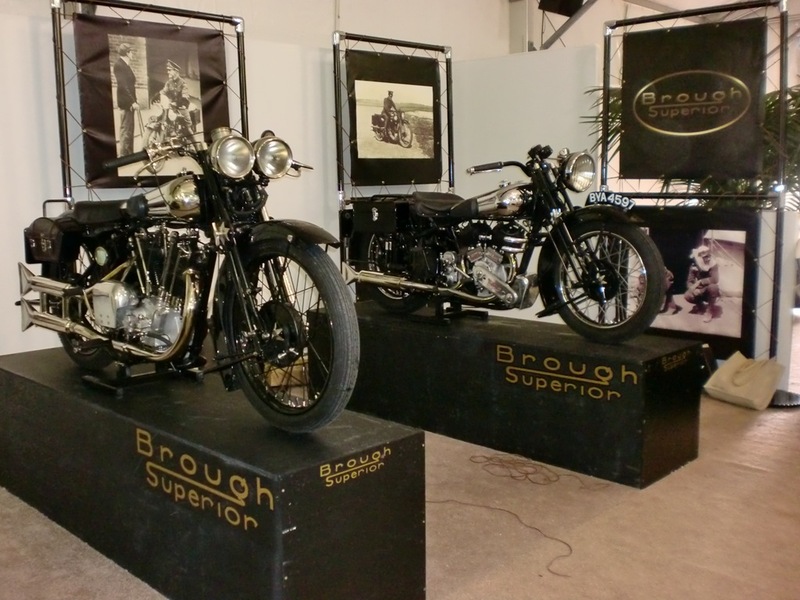 They took a Brough Superior SS100, Triumph Thunderbird, Triumph T100 and a couple of Sunbeams. 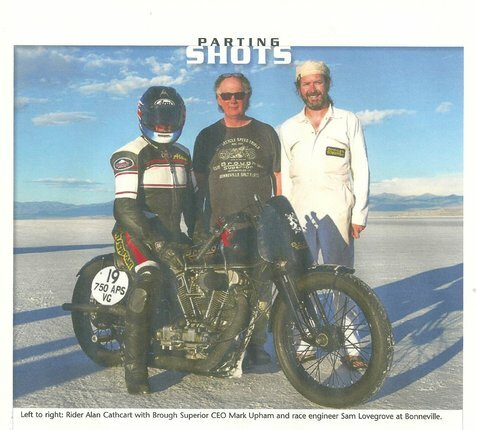 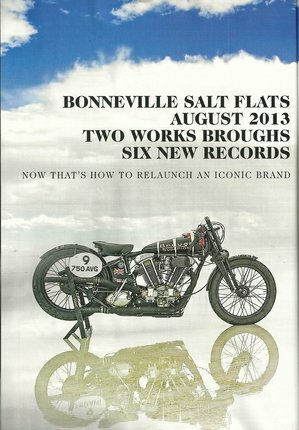 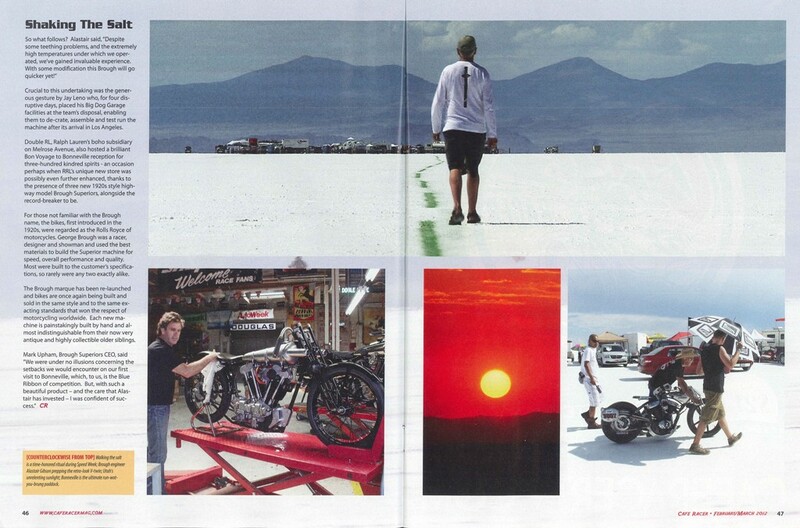 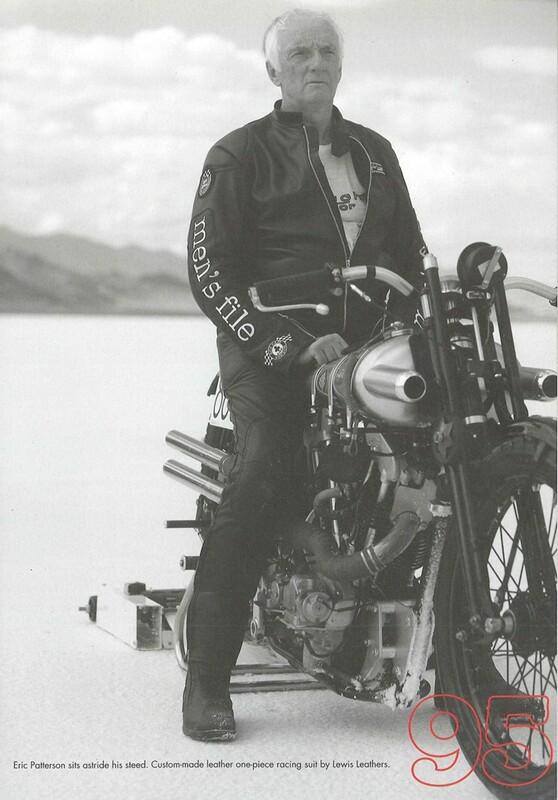 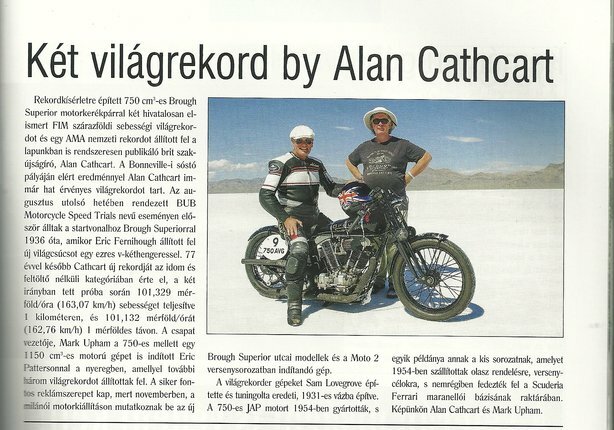 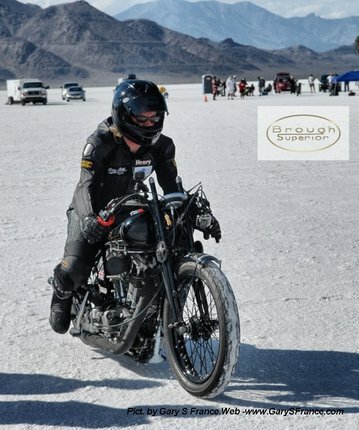 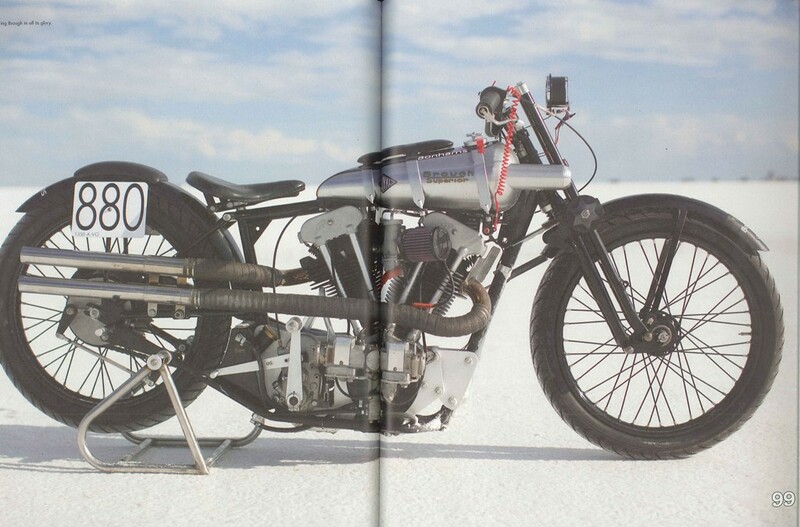 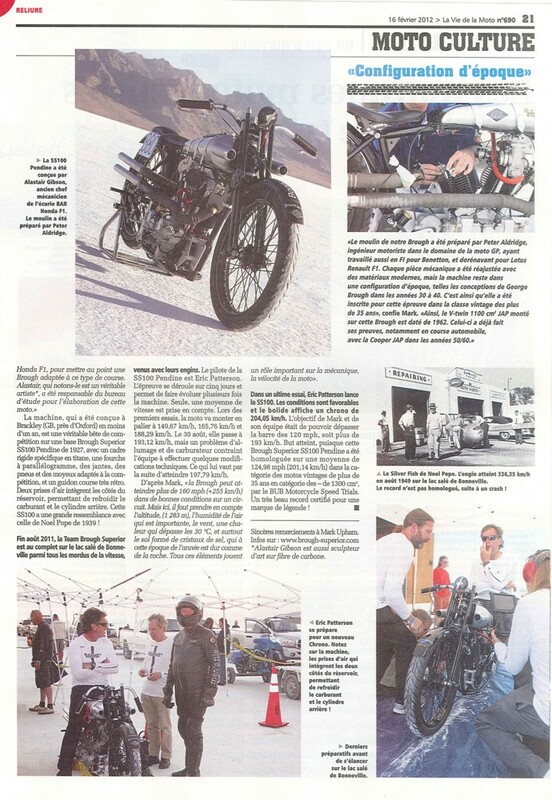 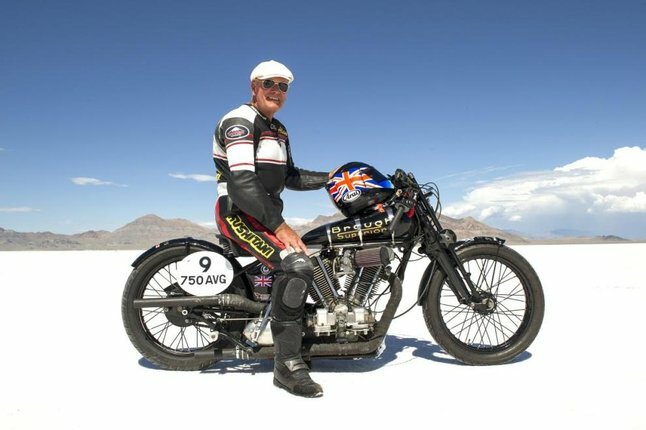 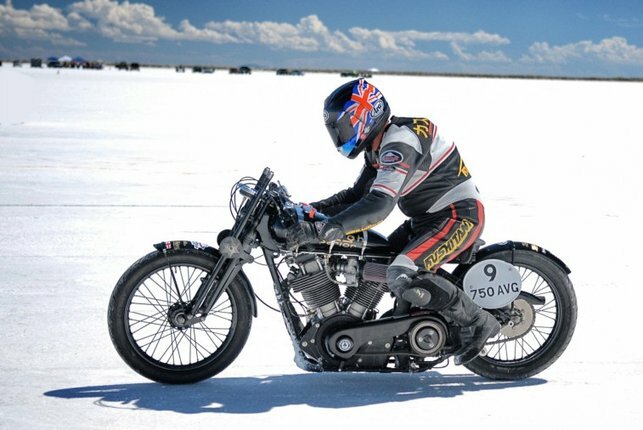 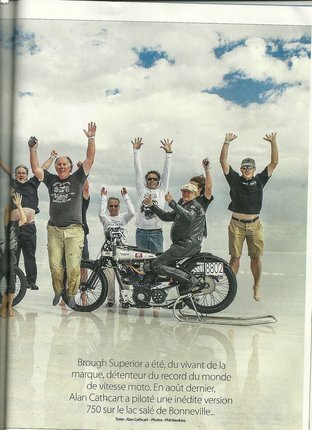 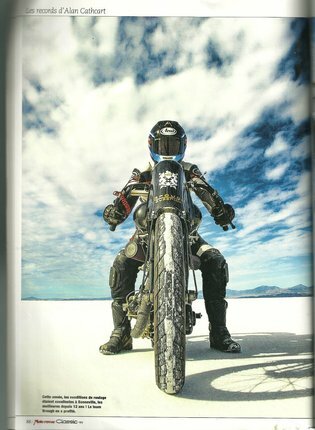 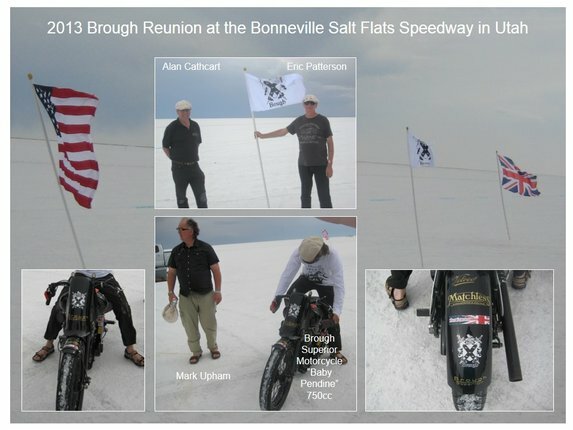 The resurrected Brough Superior comes full circle with a new record at Bonneville Salt Flats. 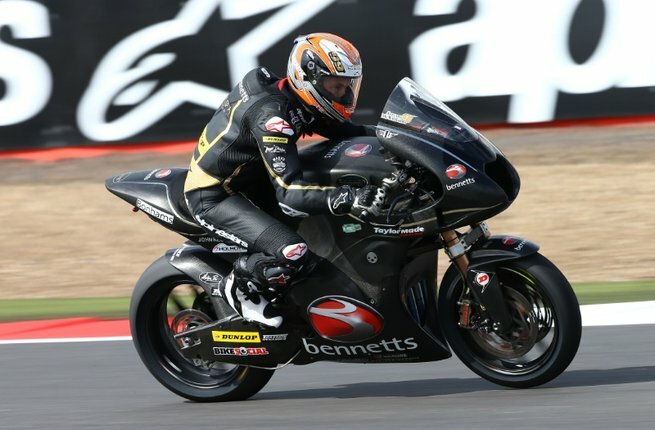 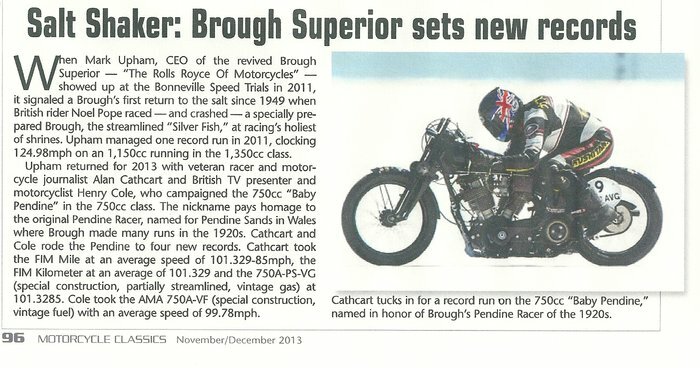 Brough Superior has returned. 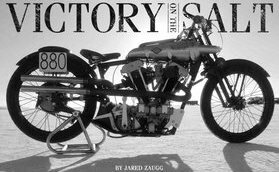 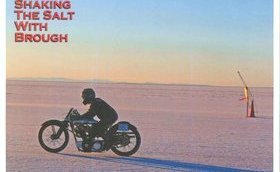 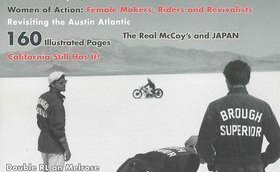 The most legendary of motorcycles—which, despite all its glamour, gentlemanly refinement, and, yes, cost, is, at its heart, a raw missile—has triumphantly honored its bloodline by setting a new speed record at the hallowed Bonneville Salt Flats. 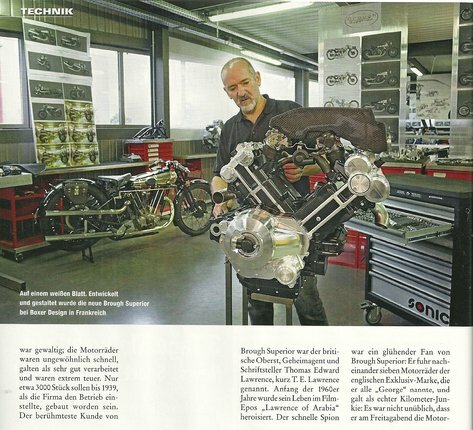 Zwei Engländer die Österreich lieben. 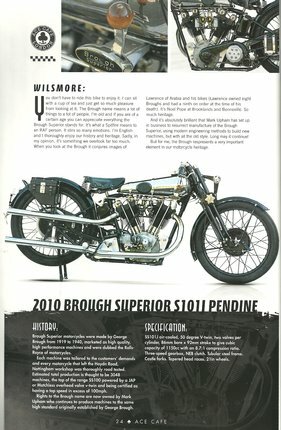 BUILTWELL Shop "BROUGH SUPERIOR Retro Pendine Racer 1000cc $250,000"
Brough Superior is probably the most legendary name in motorcycle history. 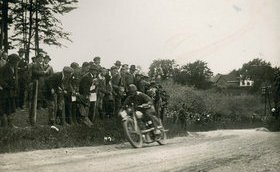 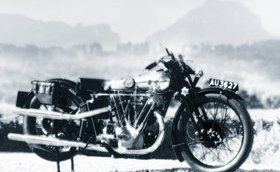 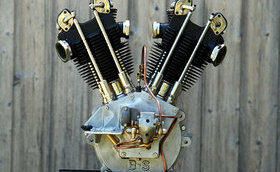 The hand-made British speed machines were famously called “The Rolls-Royce of Motorcycles” due to their exquisite craftsmanship and premium price, although “The Bentley of Motorcycles” may have been a better comparison since Brough Superior won races and set speed records with astounding frequency. 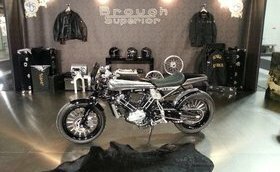 MEN'S REVERIE "Brough Superior. 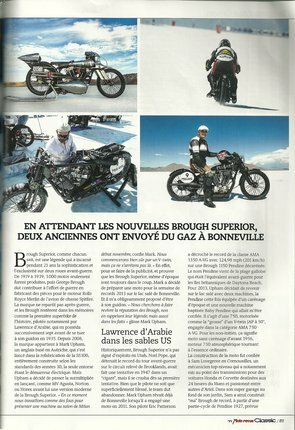 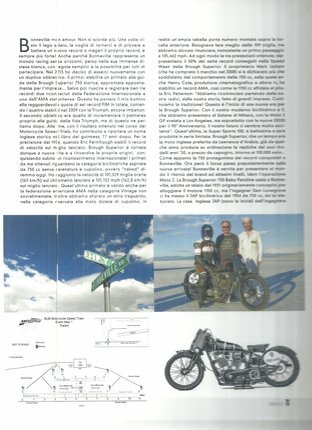 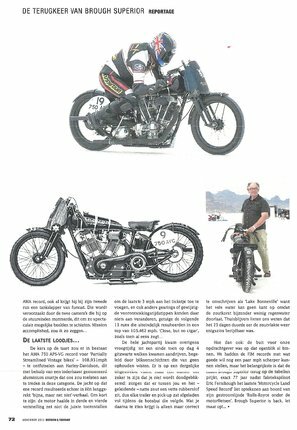 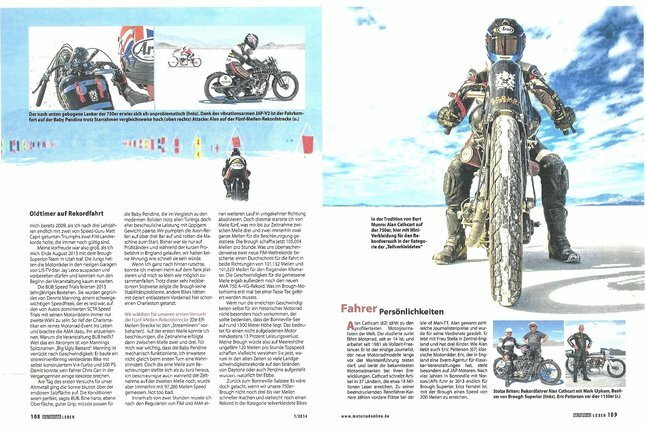 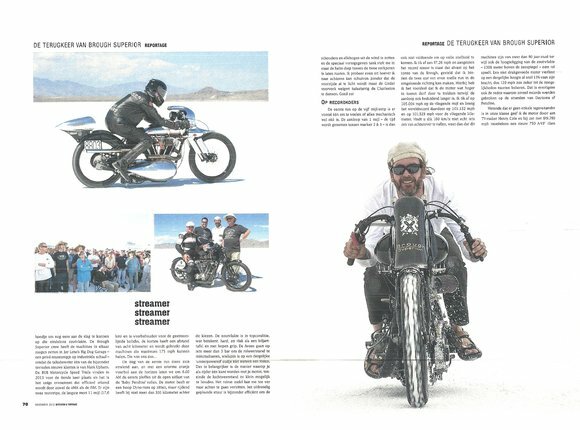 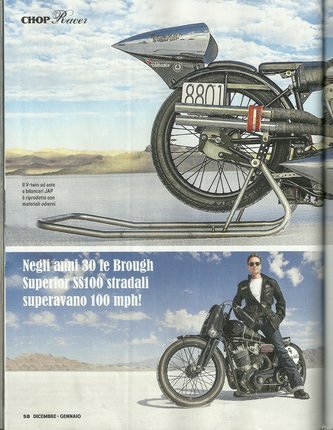 La Rolls delle due ruote, è tornata"
Brough Superior heads to Bonneville salt flats to break speed records.Built by ex- Honda F1 engineer. 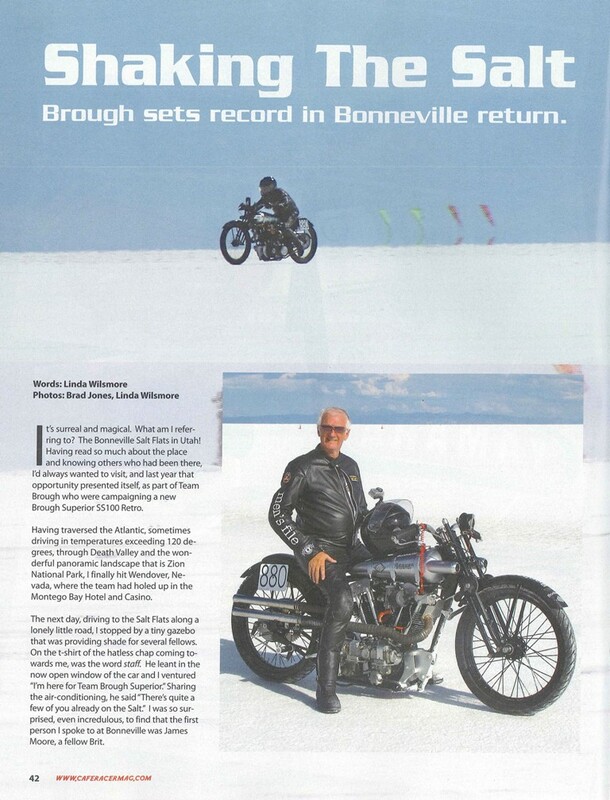 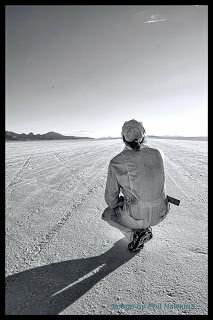 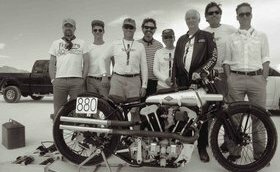 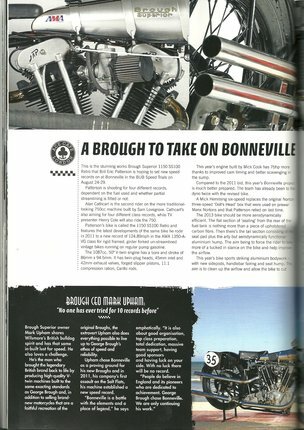 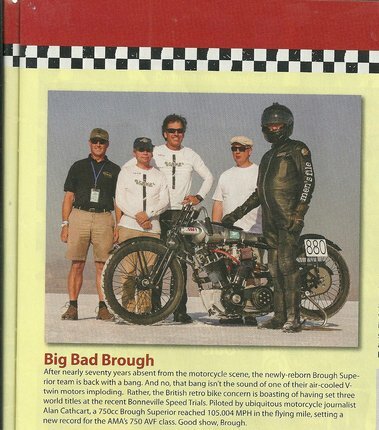 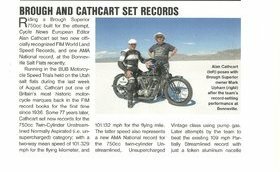 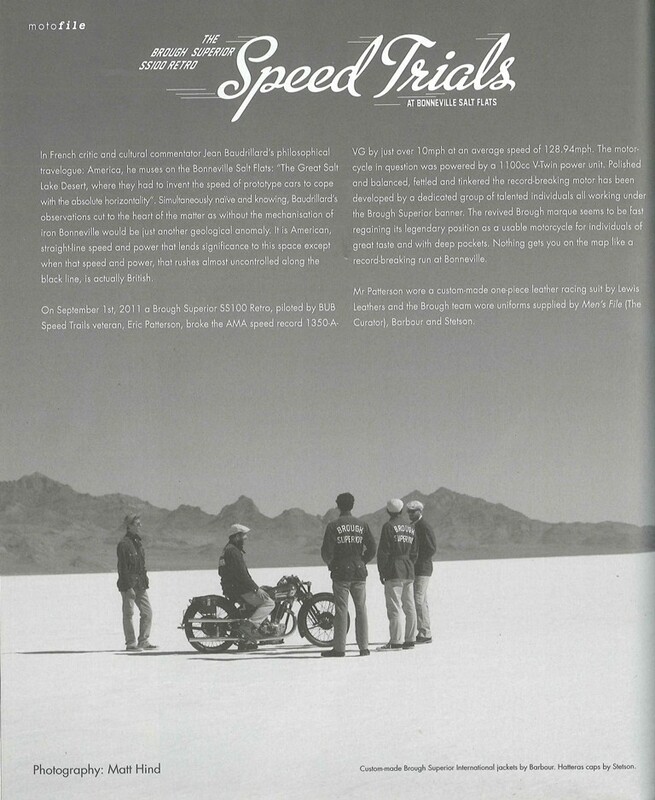 First Brough Bonneville speed attempt for 62 jears. 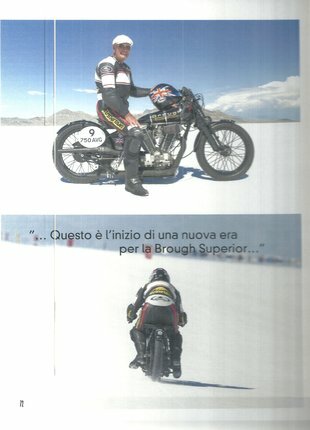 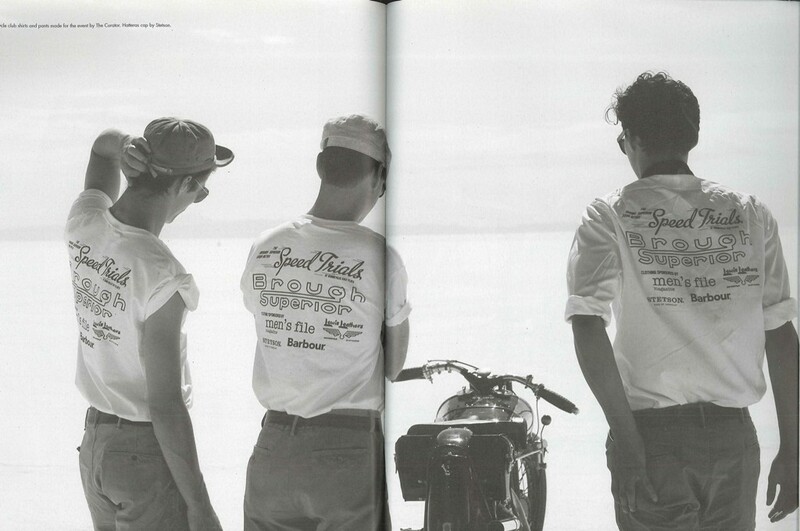 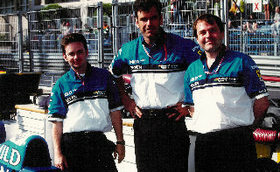 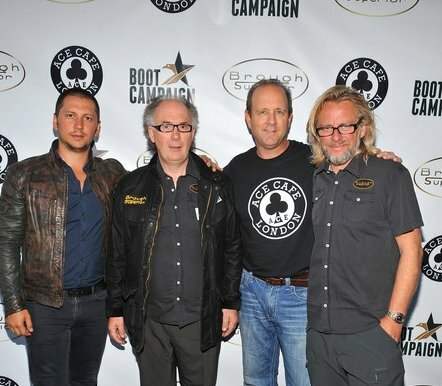 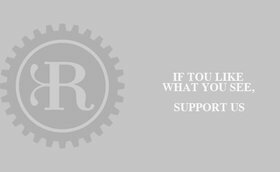 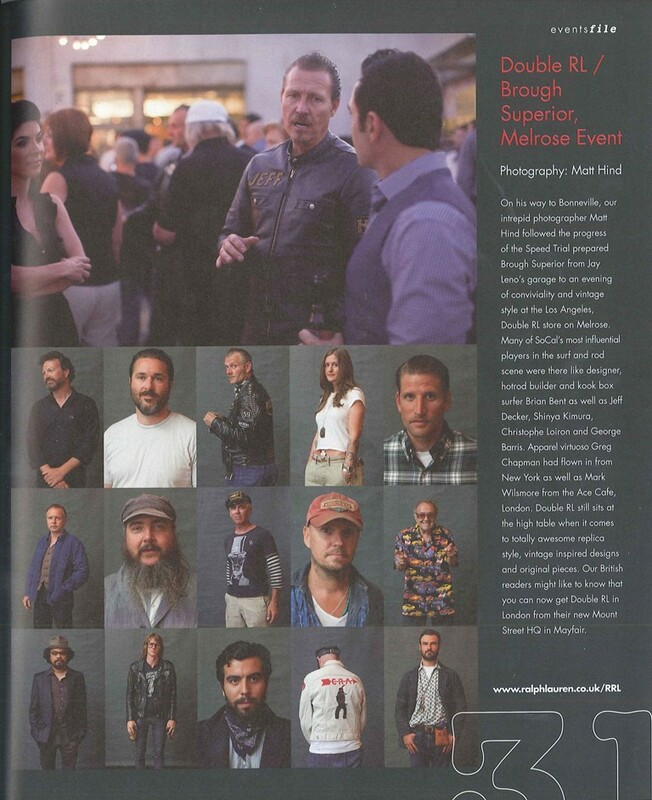 Our purpose here is to photograph the four Brough Superiors and a Small part of the Double RL men`s clothing range. 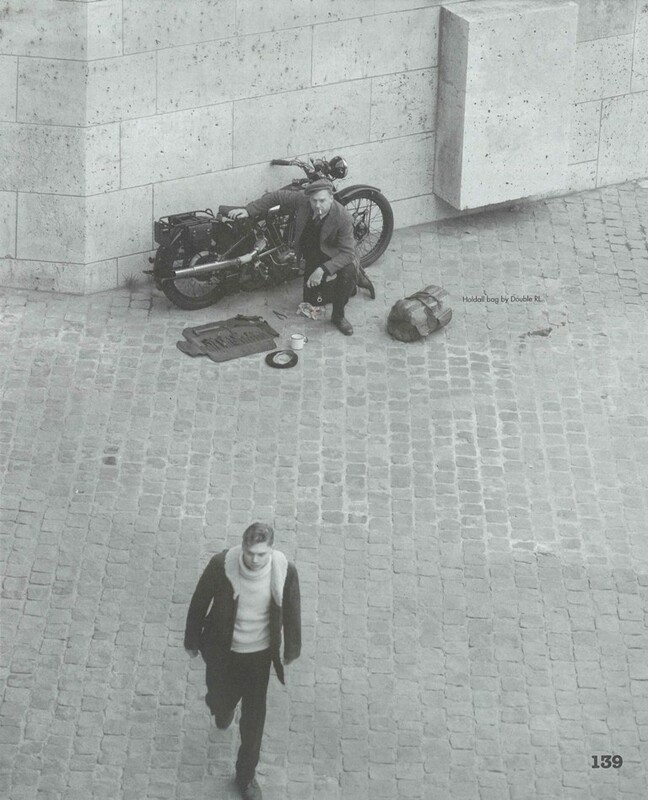 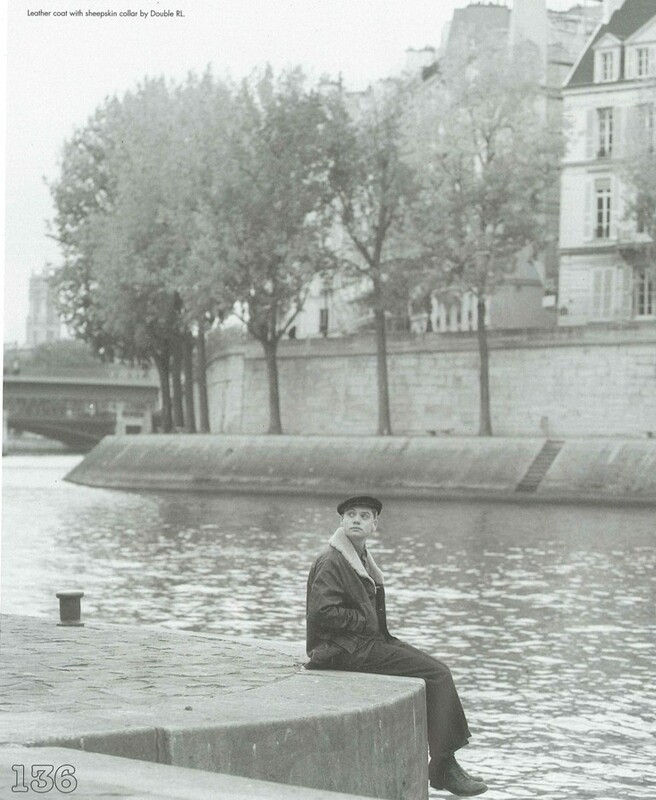 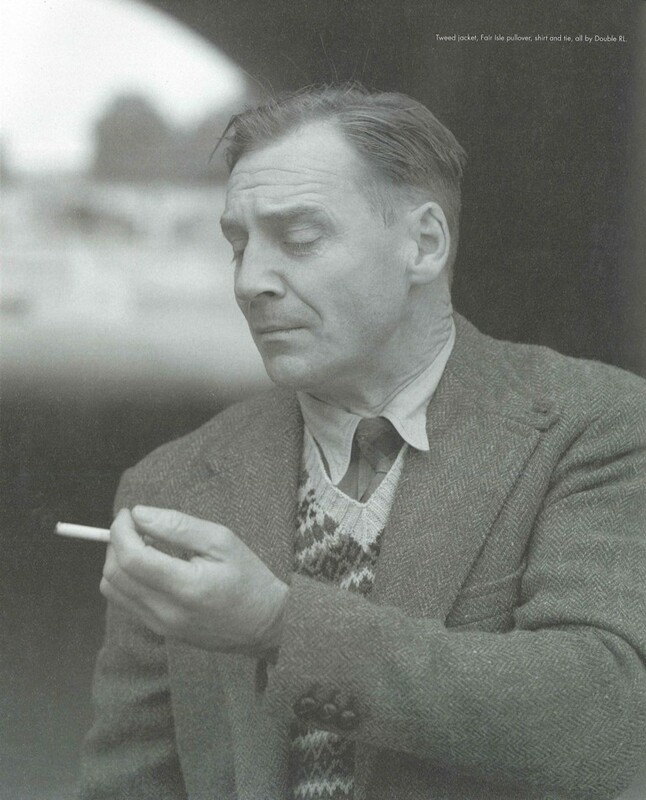 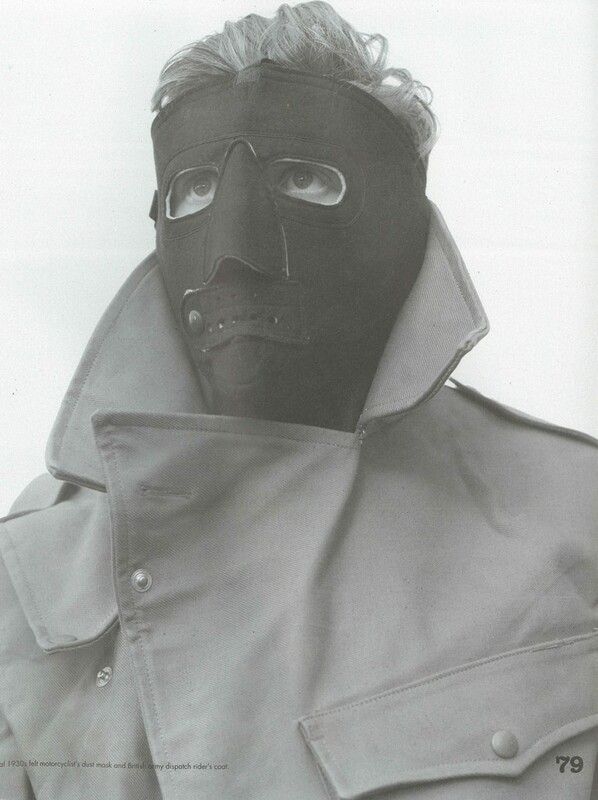 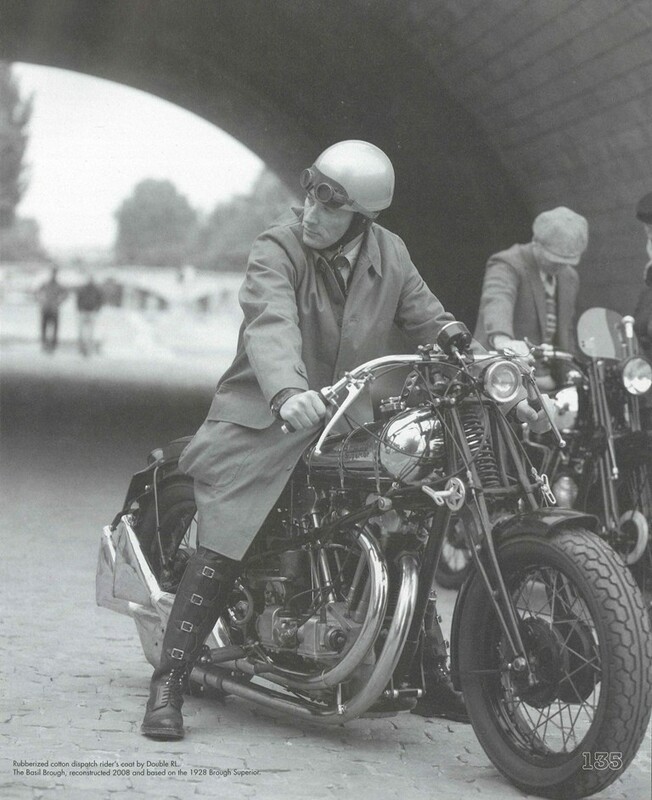 A dispatch rider`s rubberized cotton mac, a tweed jacket, a French casque (cap) and a leather coat. 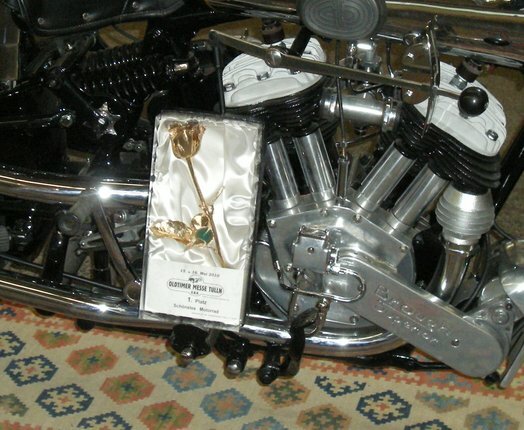 Fore these items this is also the correct domain as this is where they always belonged. 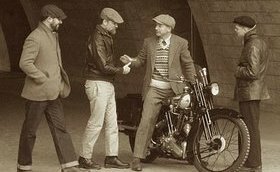 From gaudy, skintight rally leathers to chic shearling jackets, biker style has been perennially popular for fashion-conscious men. 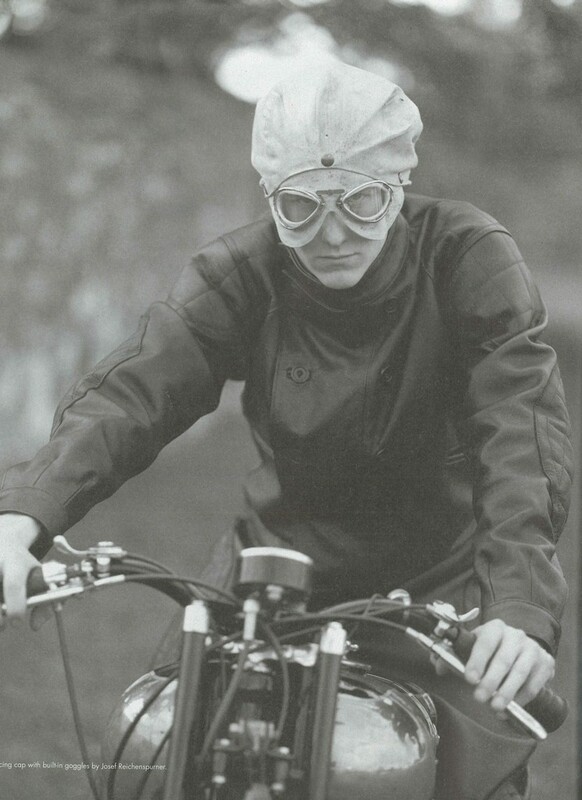 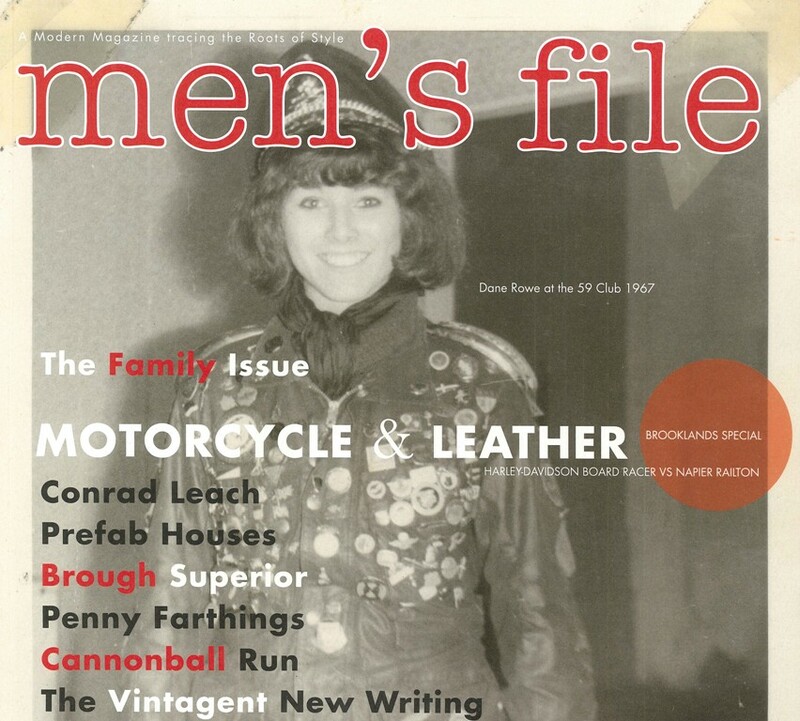 But a recent revival of interest in classic vintage bikes and modern replicas has boosted interest in retro biker fashions to match - and modern technology means they work both on and off the road. 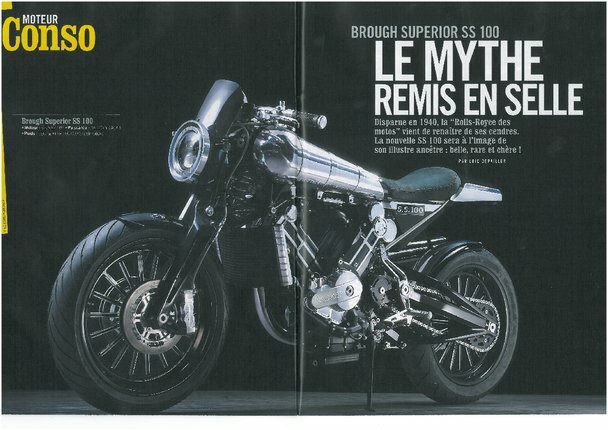 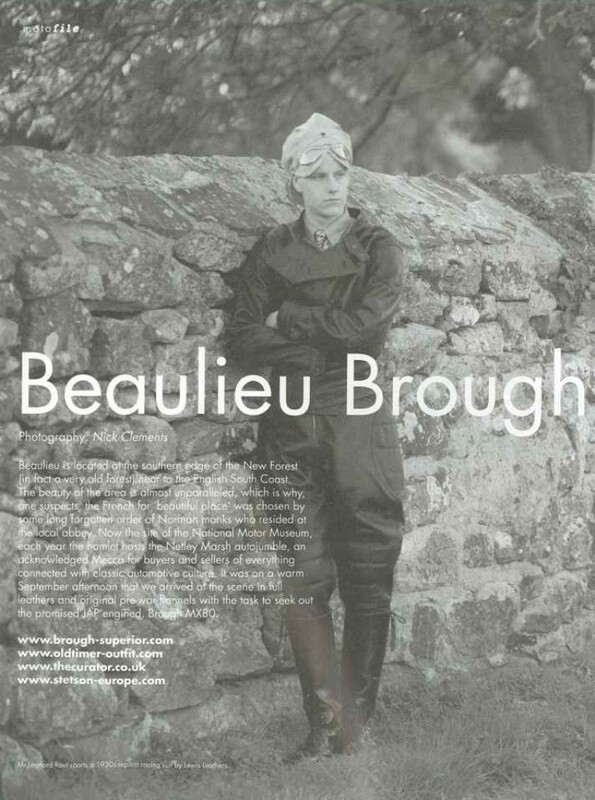 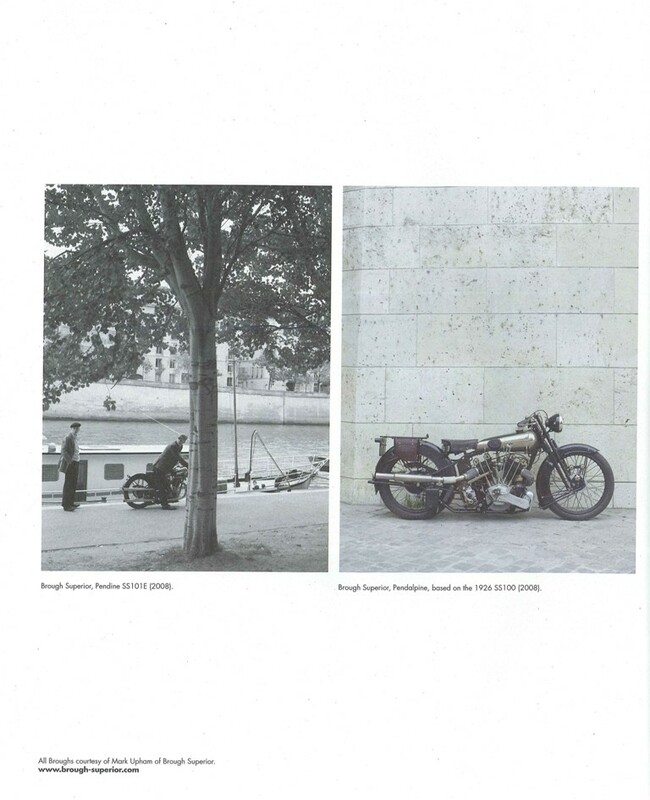 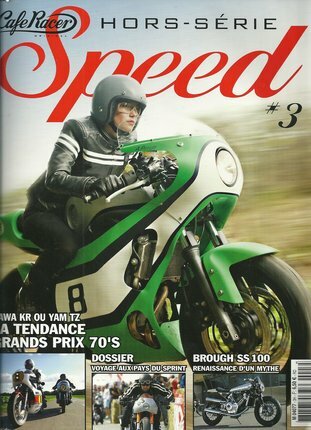 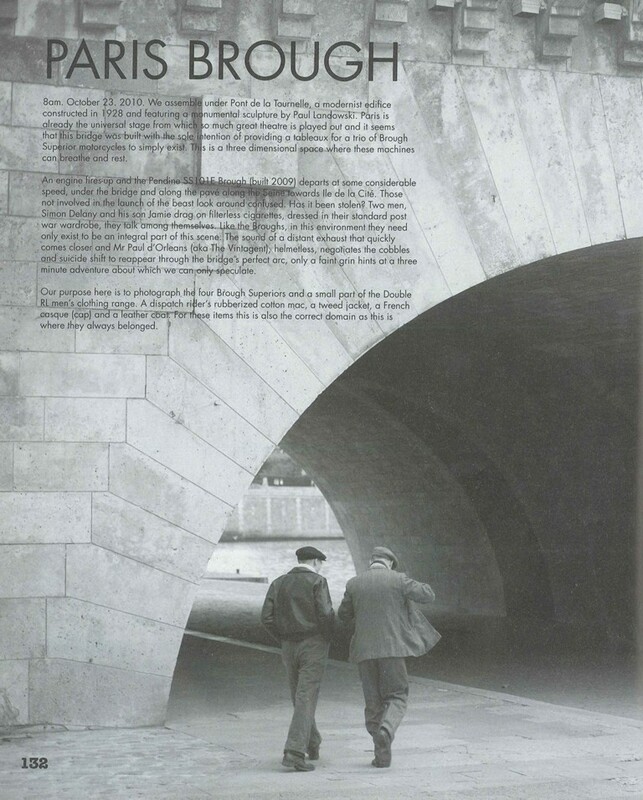 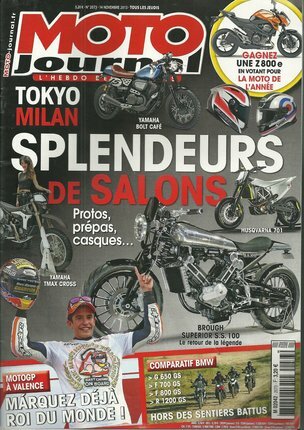 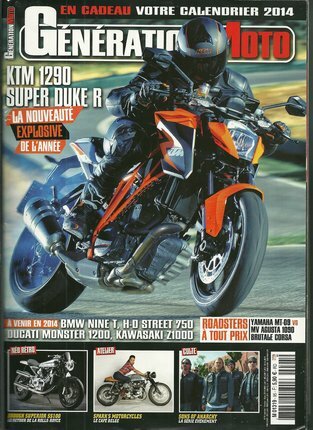 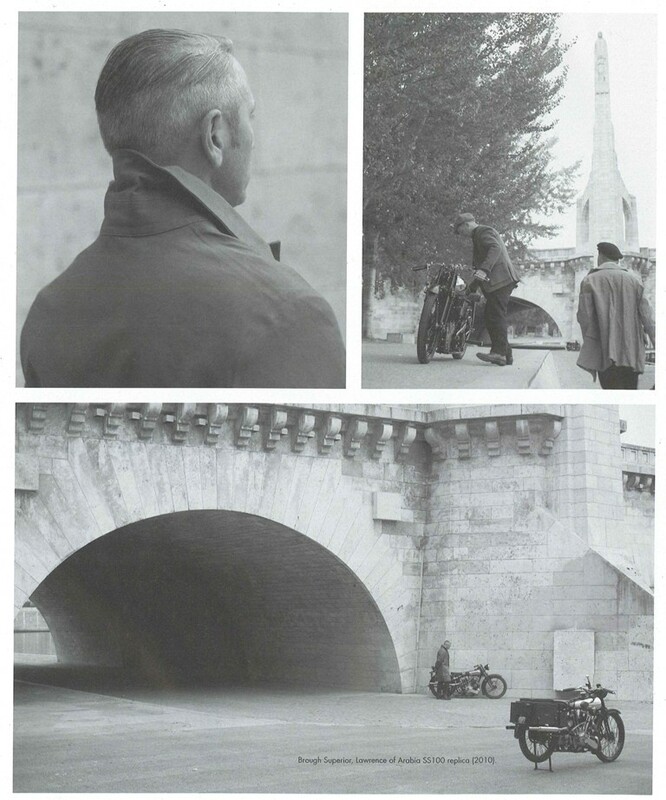 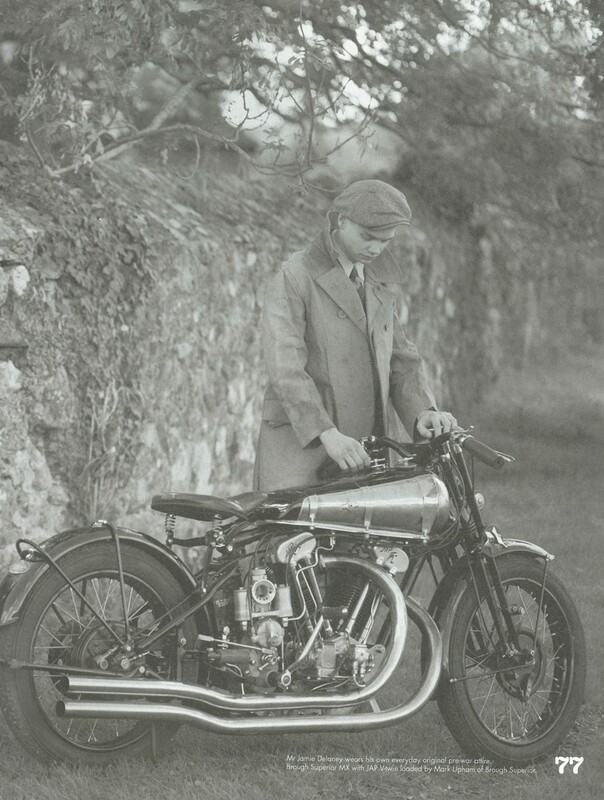 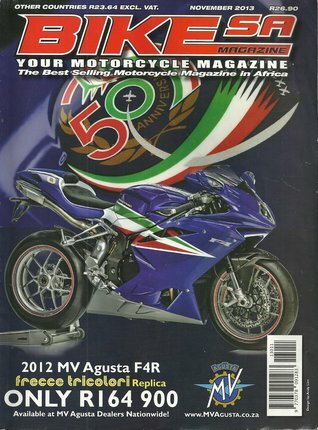 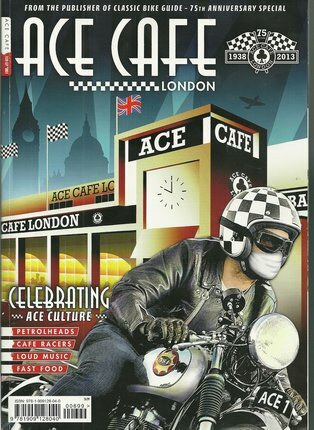 In the issue 04 "men`s file" a Modern Magazine tracing the Roots of Style are a photo shoot in Beaulieu with Brough Superior. 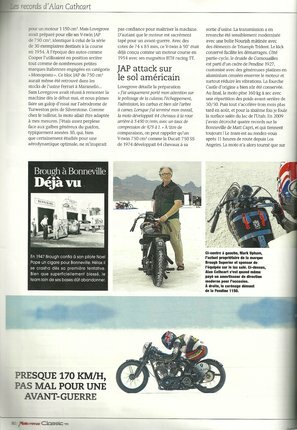 Pour le lancement dune toute novelle ligne vestimentaire de style annèes 30 à 50 chez Ralph Lauren, plusieurs machines anciennes ont ètè exposèes. 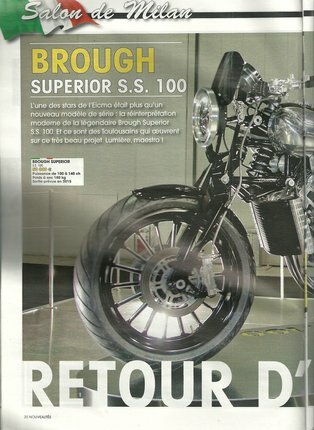 Dans le lot, 4 Brough! 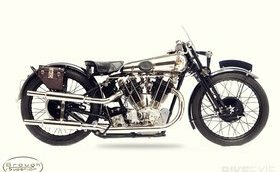 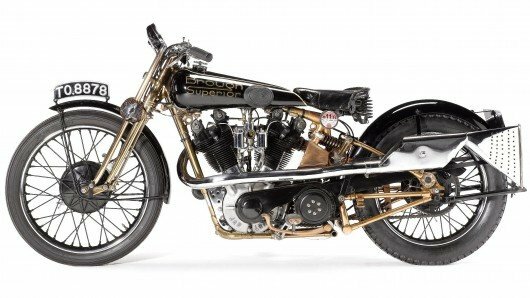 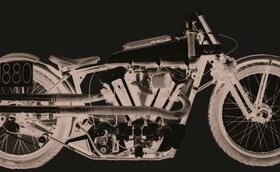 George Brough`s prototype Brough Superior SS100 Alpine Grand Sport is to be sold by New York fine arts auction house Phillips de Pury on December 15th, 2010. 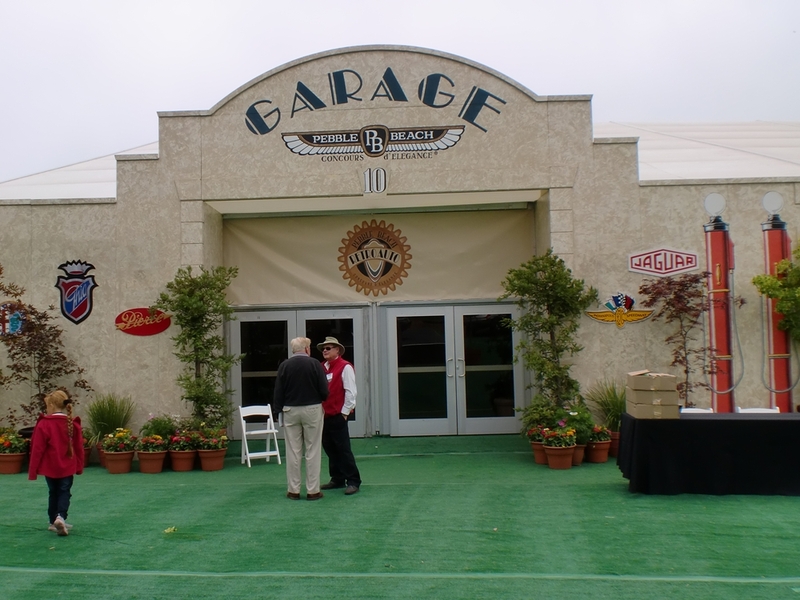 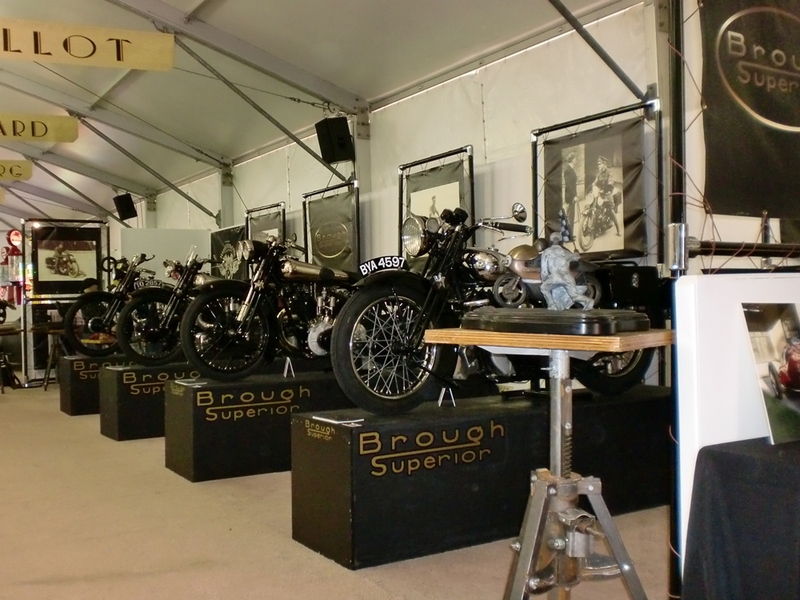 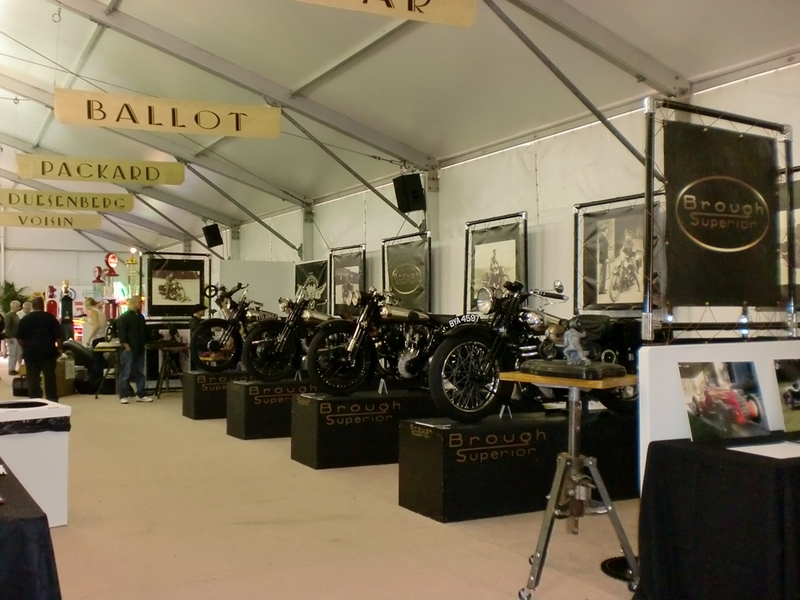 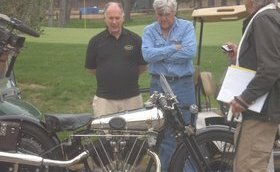 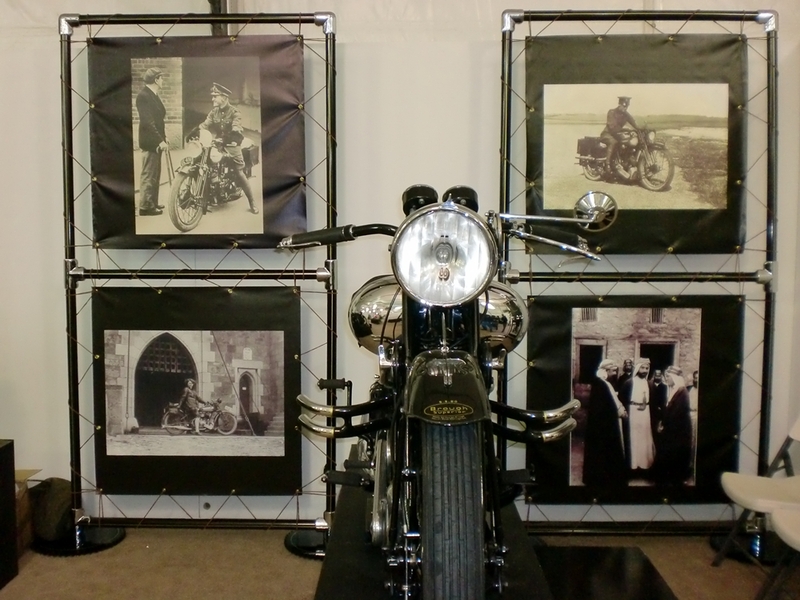 First impression from the Brough Superior presentation in the "GARAGE" Pebble Beach 2010. 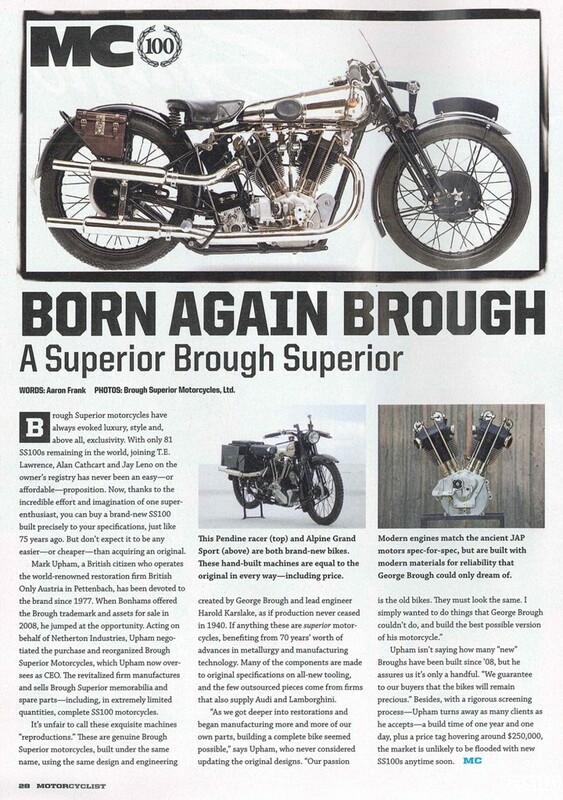 Jeff Decker the well nown artist works on a Brough Superior sculpture. 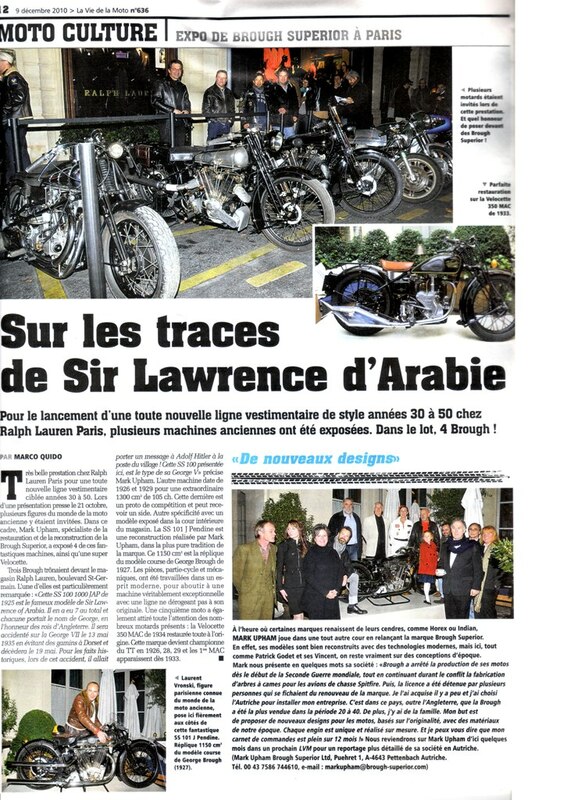 Look to the file with the articel from the newspaper " The National ". 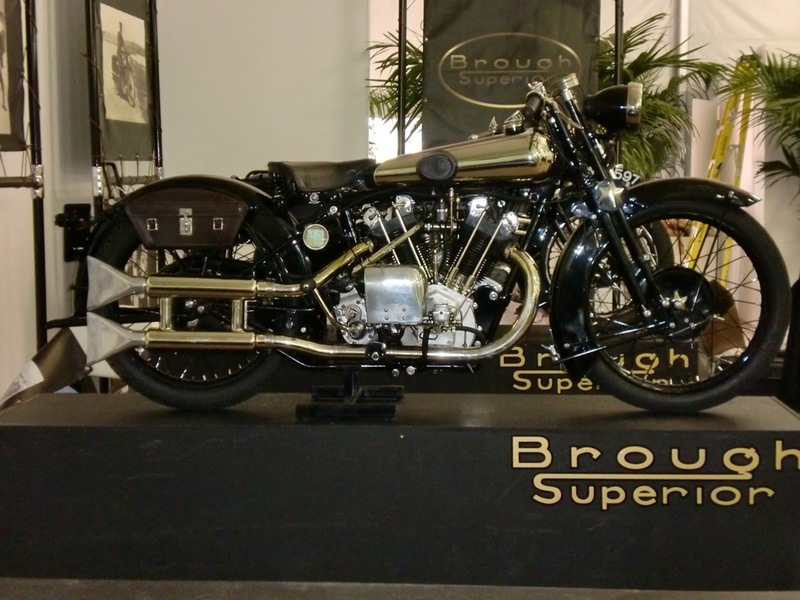 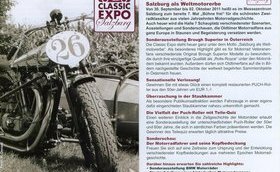 A Brough Superior SS80 B&D from 1933 are the winner of the golden rose at the Oldtimermesse Tulln Austria. 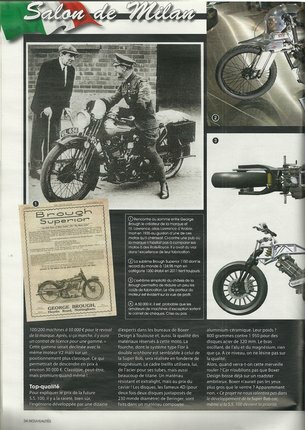 FIRST IN A RANGE OF BROUGH SUPERIOR CLOTHING, PRODUCED BY NORTON SONS, TAILORS, OF SAVILE ROW; BOTH GARMENTS TOTALLY UNSUITABLE FOR WORKSHOP USE! 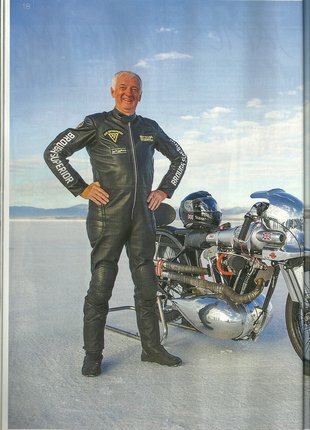 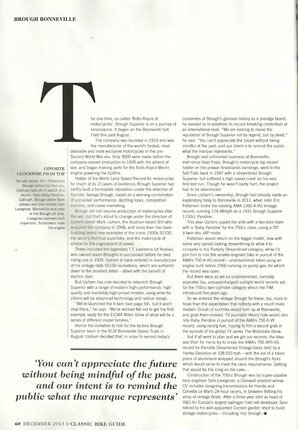 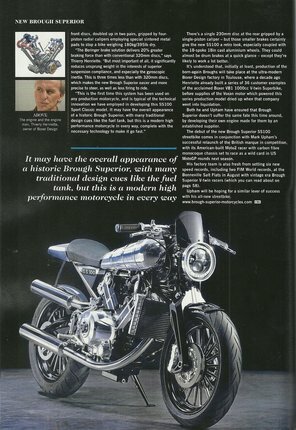 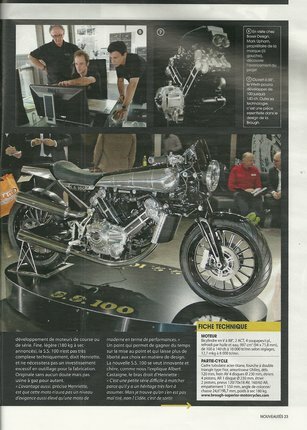 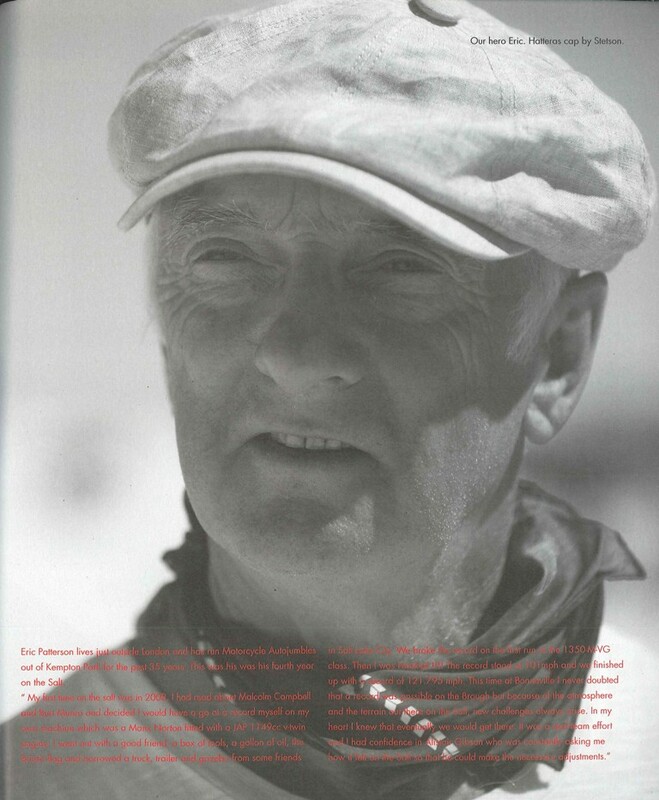 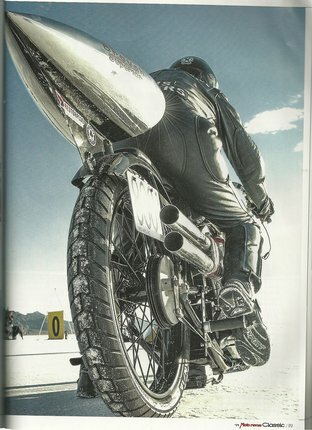 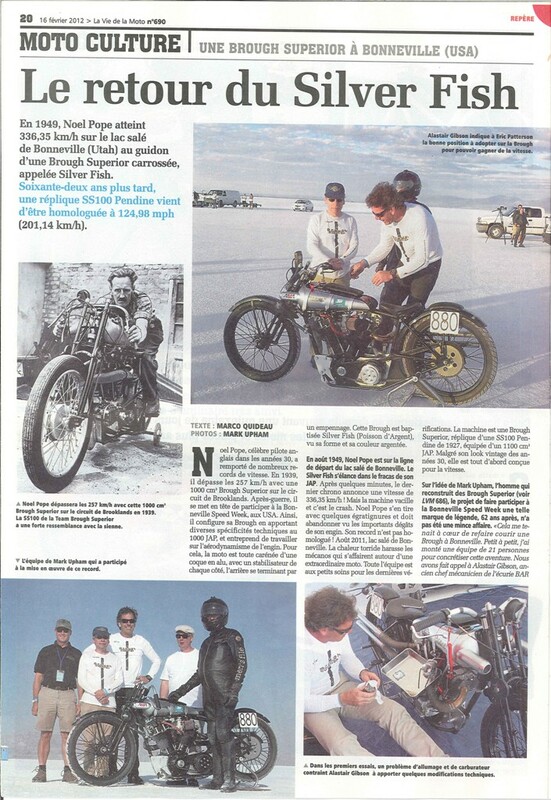 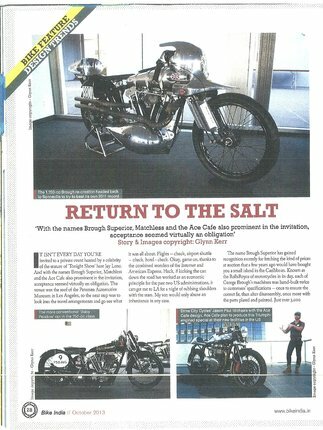 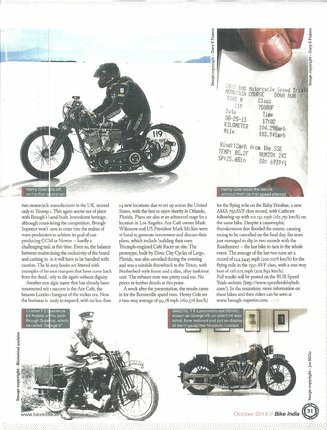 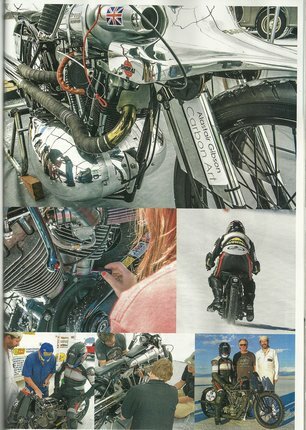 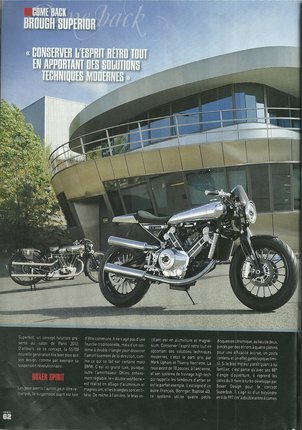 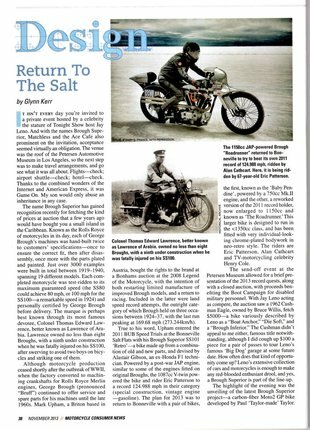 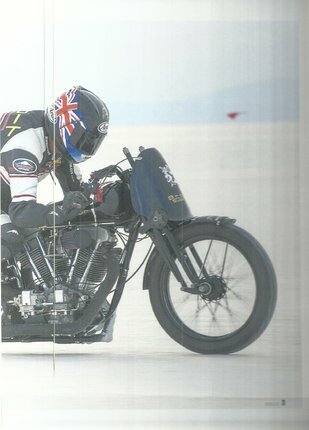 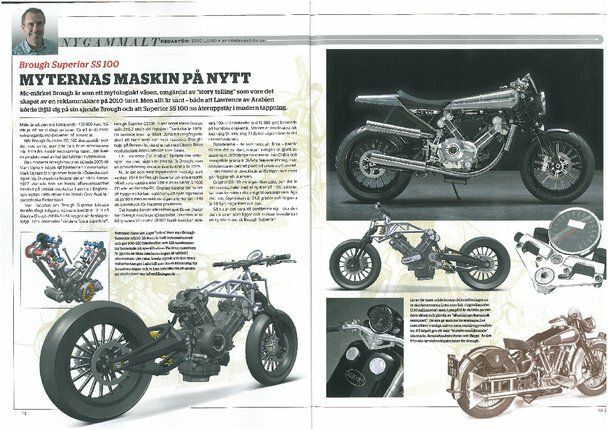 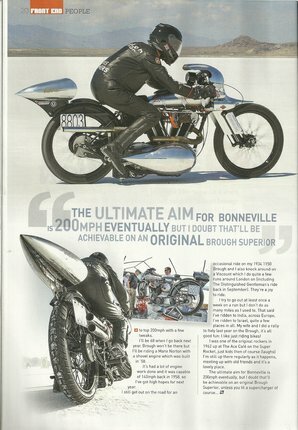 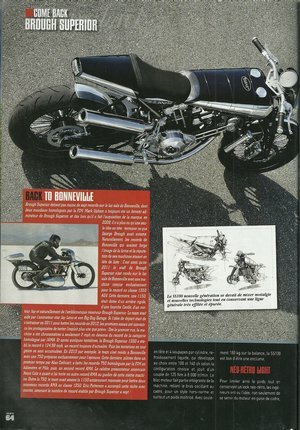 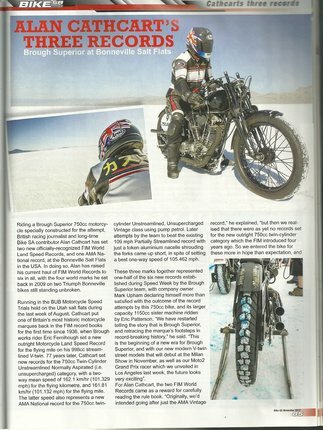 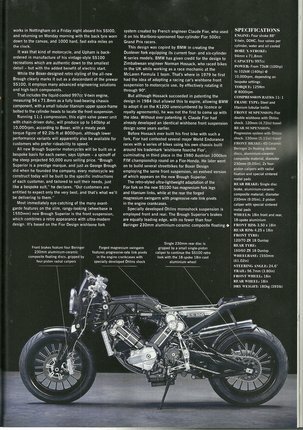 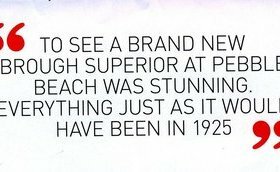 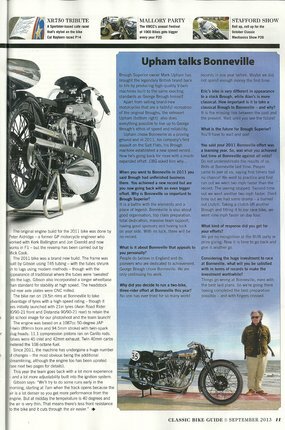 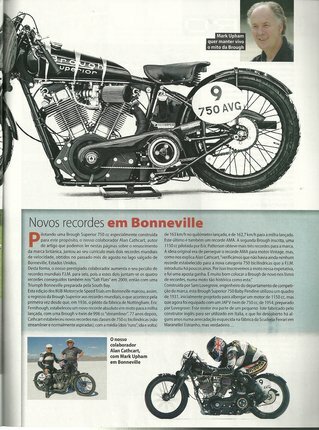 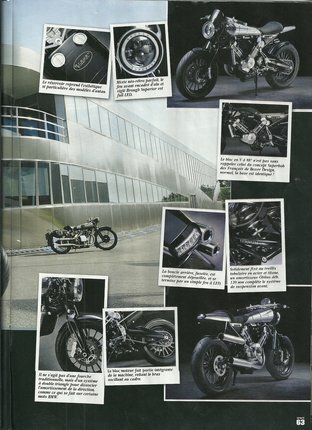 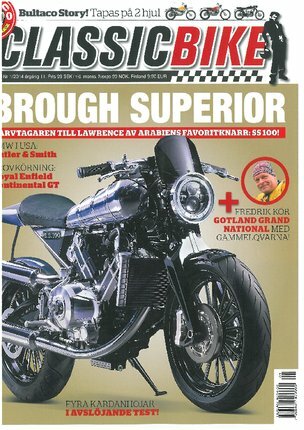 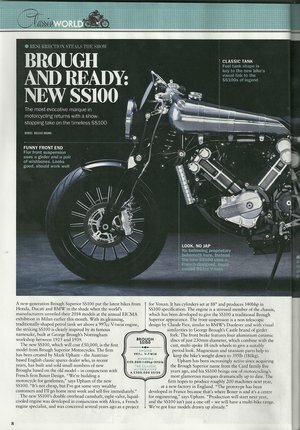 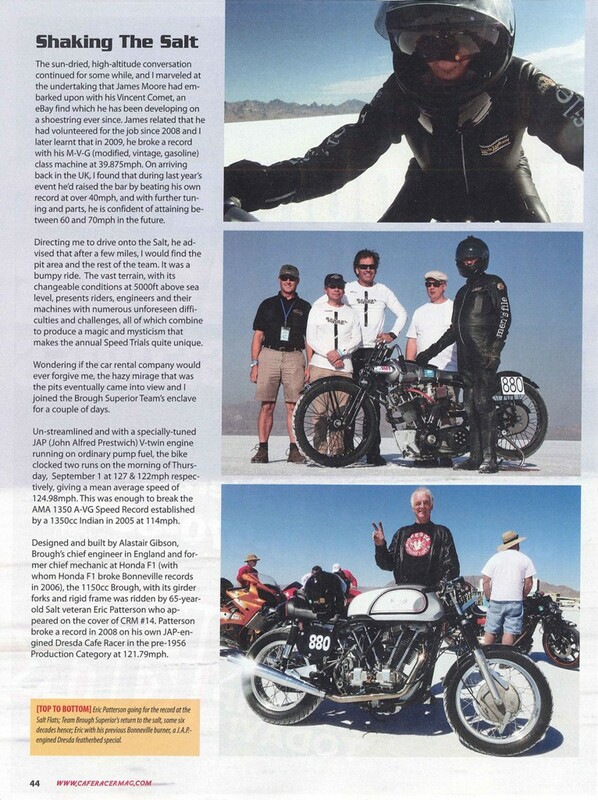 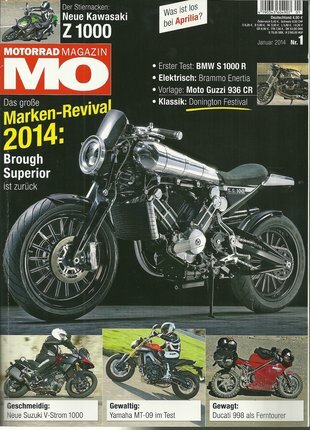 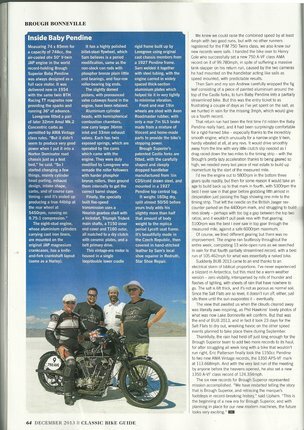 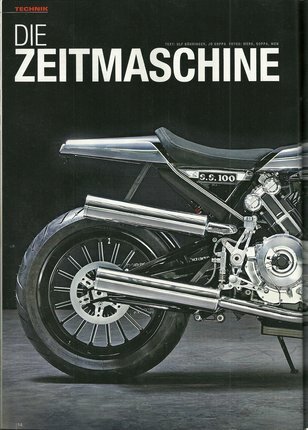 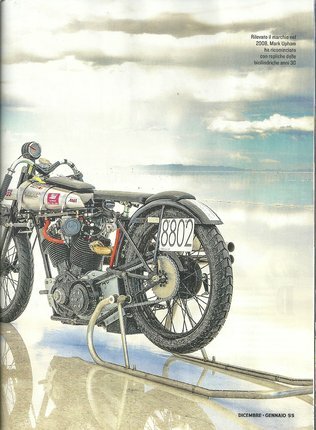 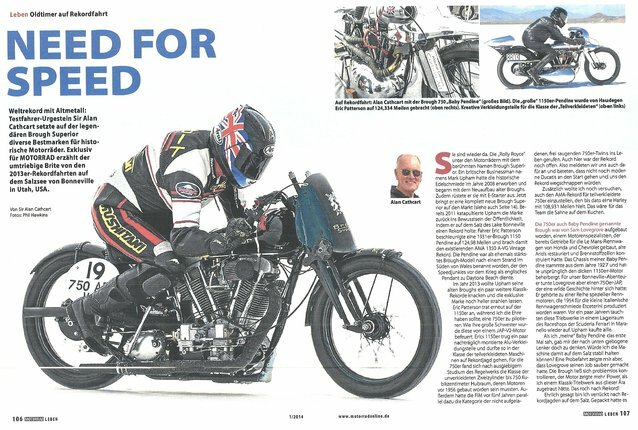 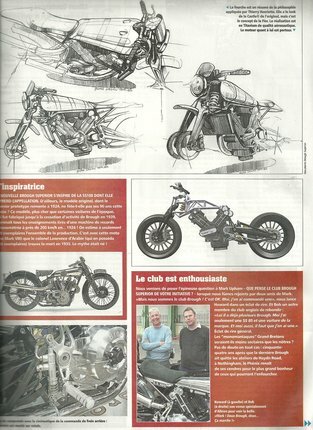 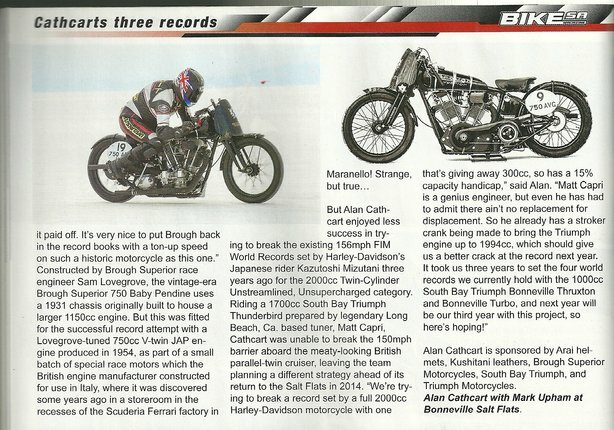 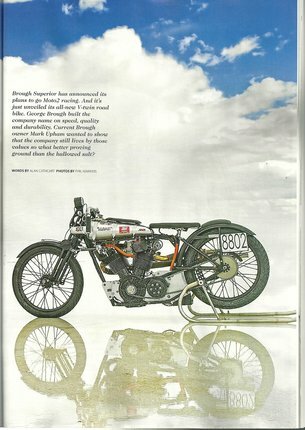 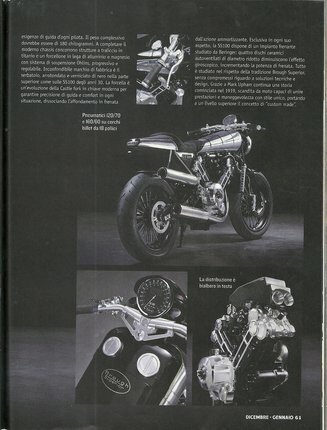 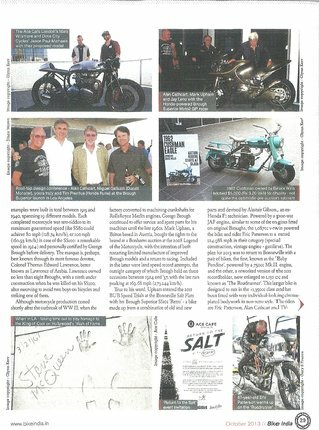 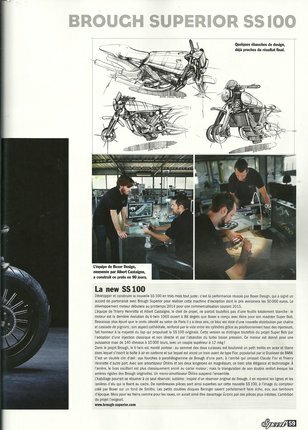 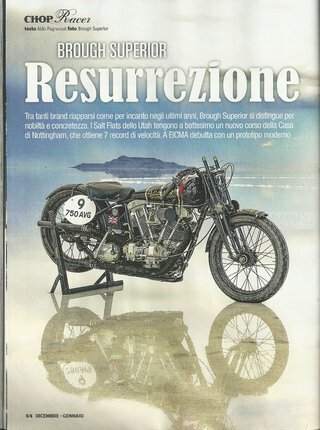 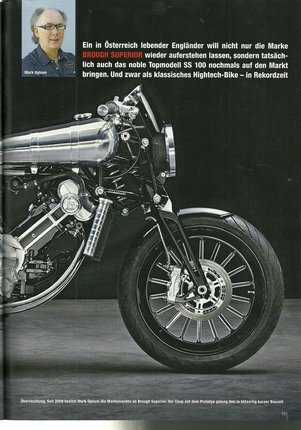 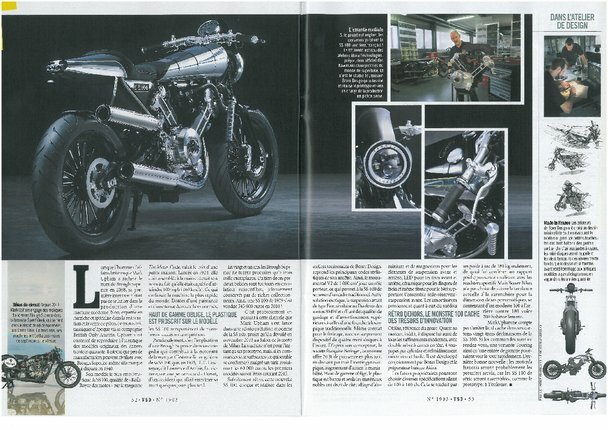 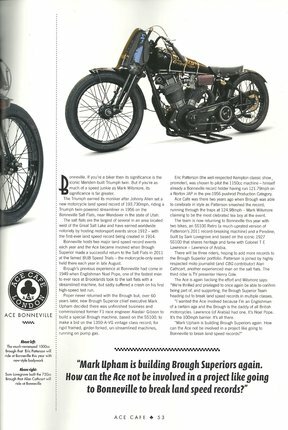 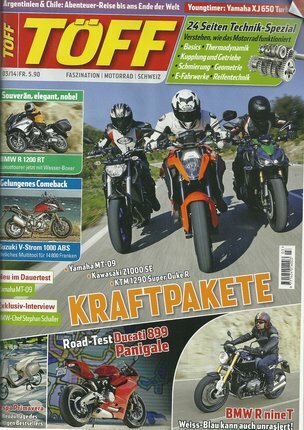 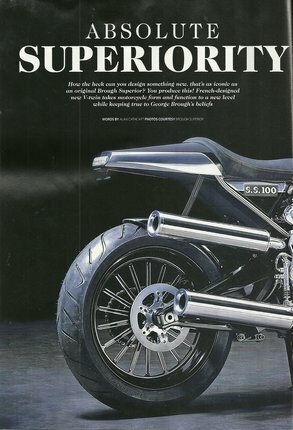 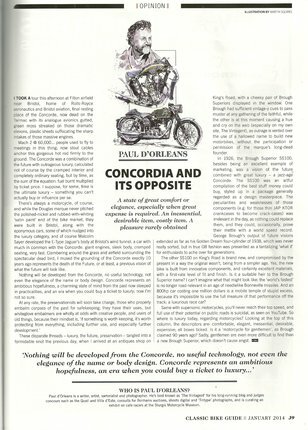 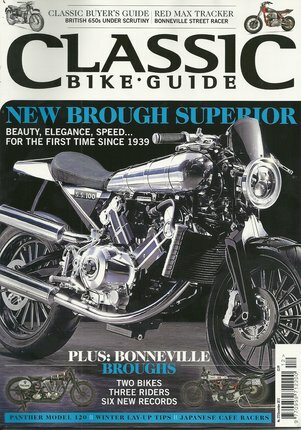 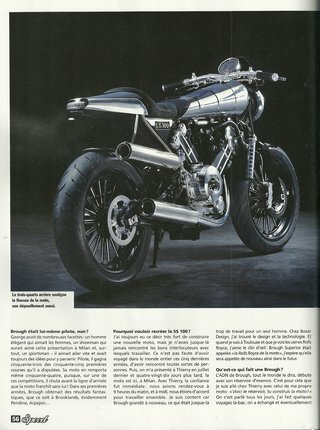 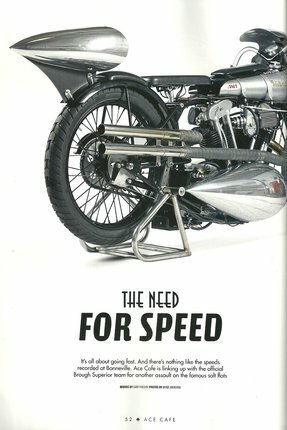 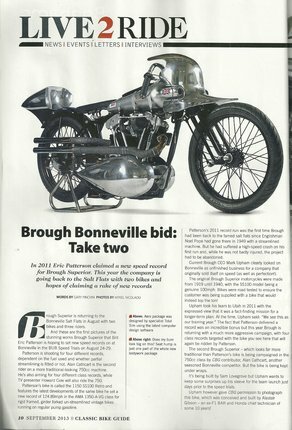 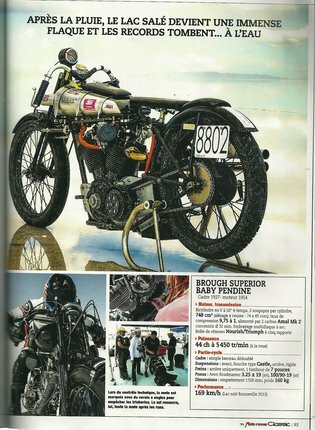 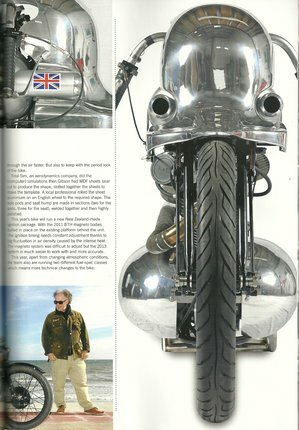 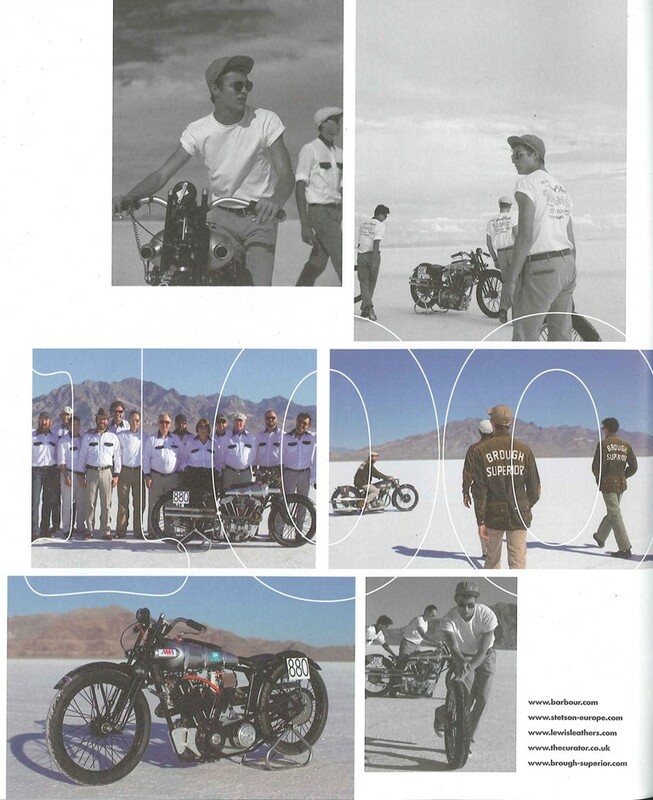 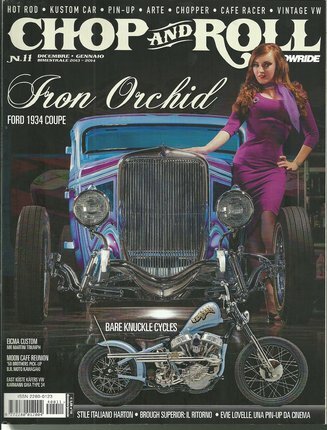 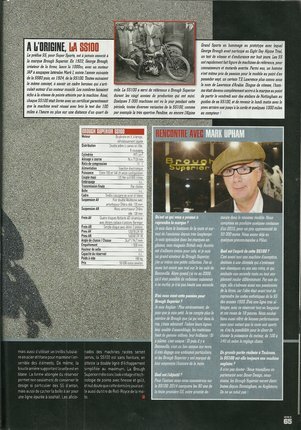 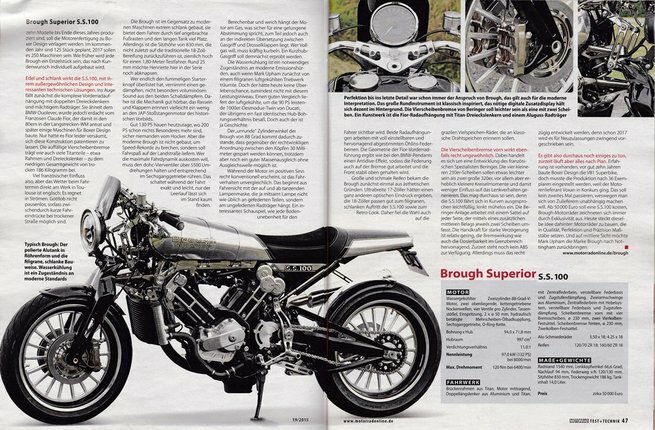 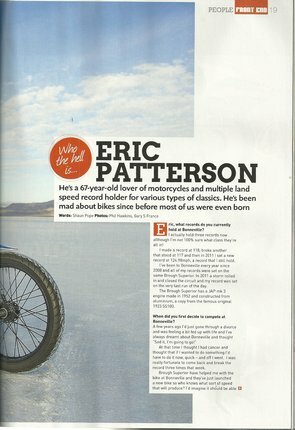 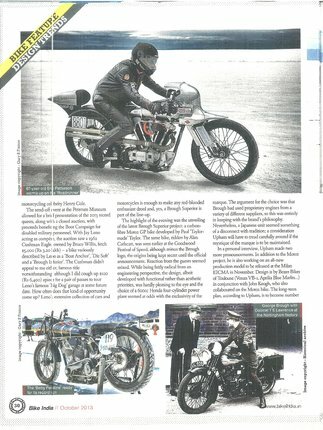 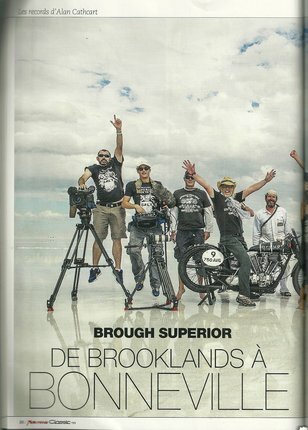 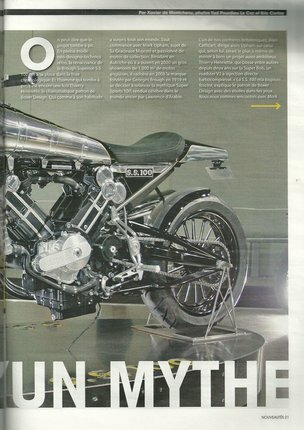 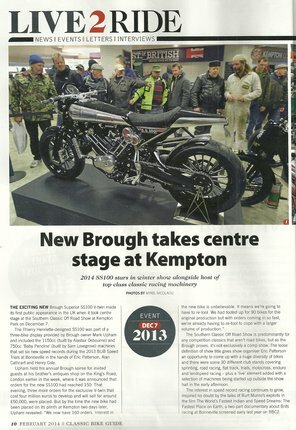 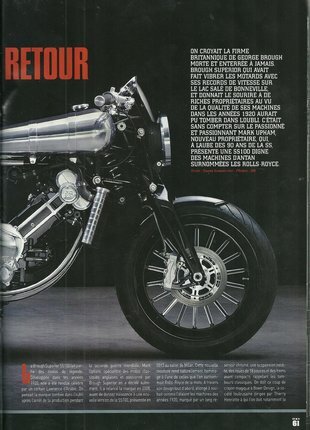 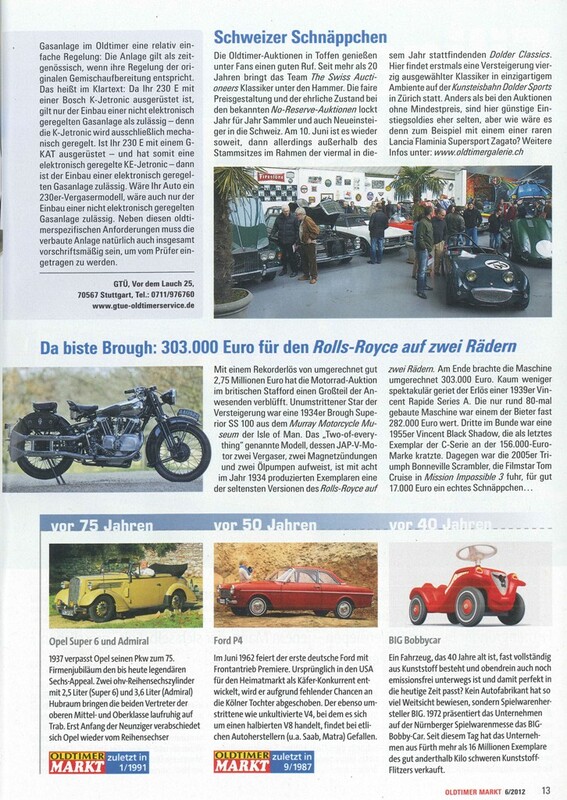 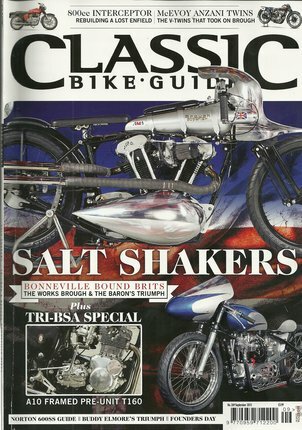 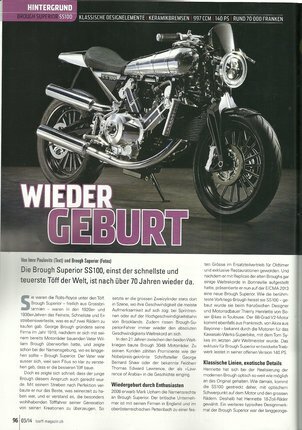 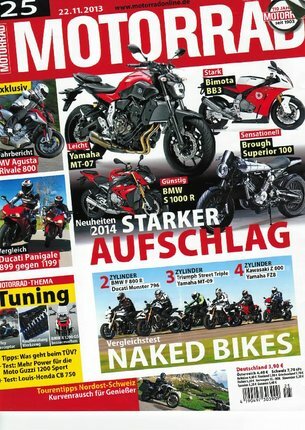 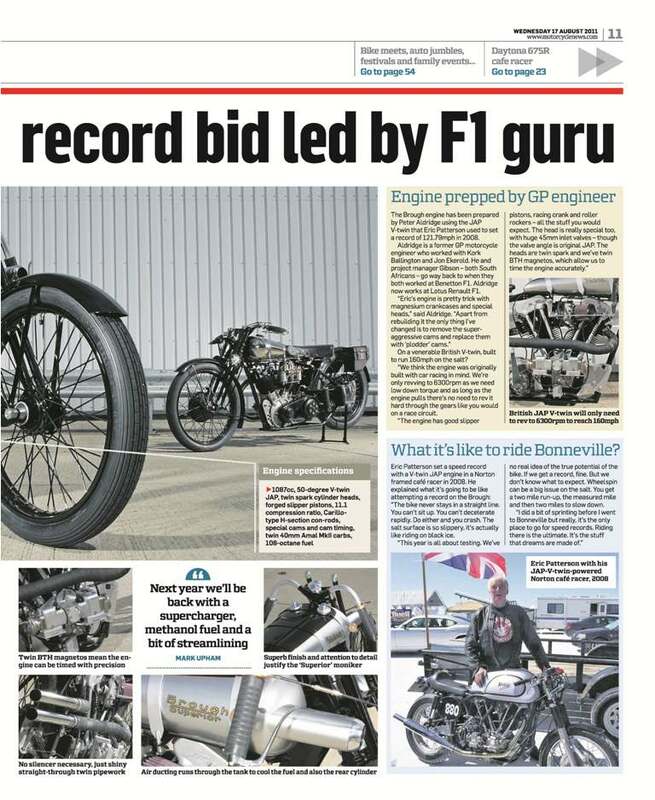 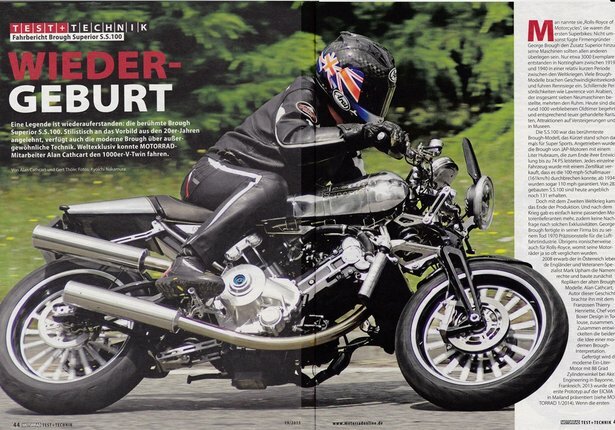 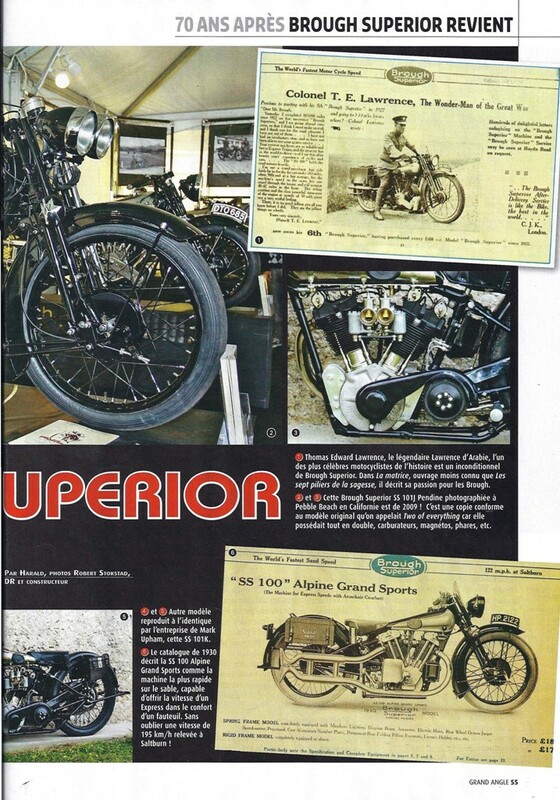 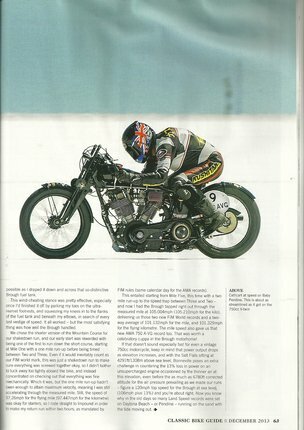 An article by Jeff Buchanan about, Brough Superior's new SS101J Pendine in the ULTIMATE Motor Cycling magazine. 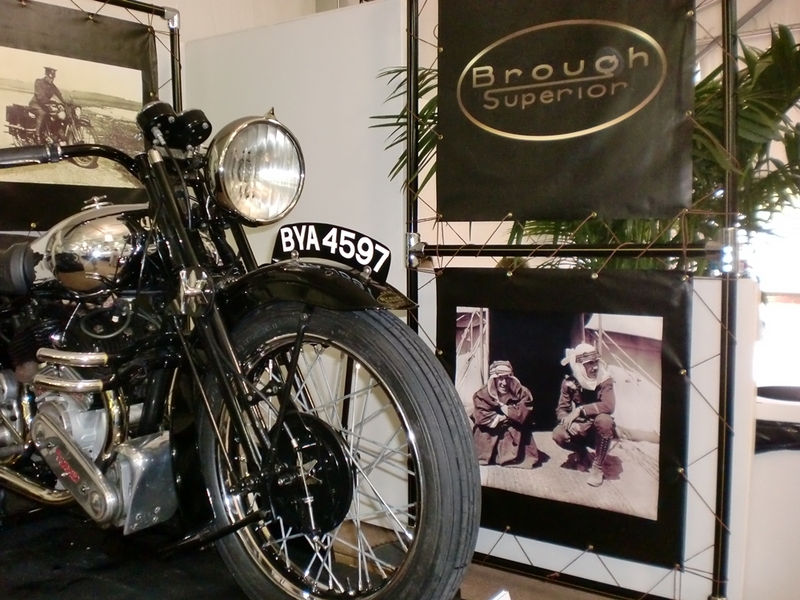 All at Brough Superior Motorcycles wish you a Happy Christmas or a Happy Seasonal Holiday and all the best in the New Year. 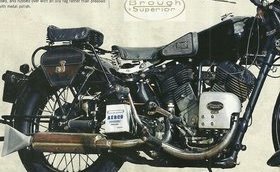 Road Test of the new Brough Superior SS101 "Pendine"